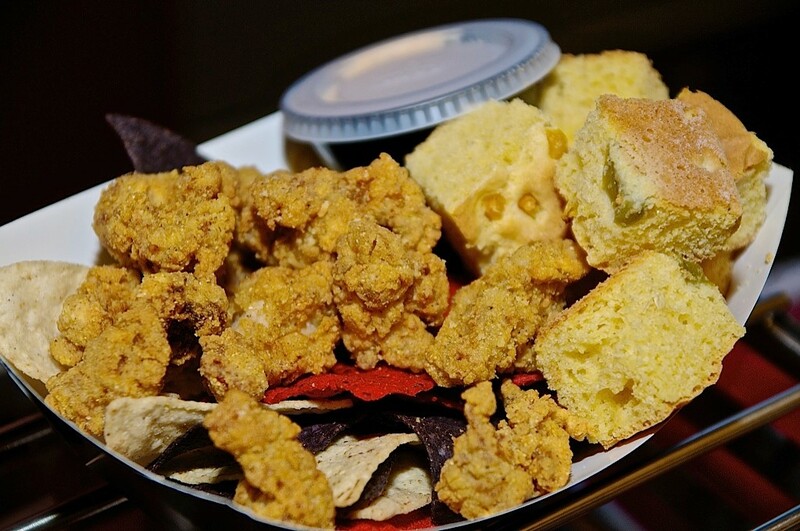 Opening Day 2016: New Ballpark Food! Yesterday, I kicked off the 2016 season with a requisite bouillabaisse blog post. The “bouillabaisse” in such posts is metaphorical, but today all food references are literal. 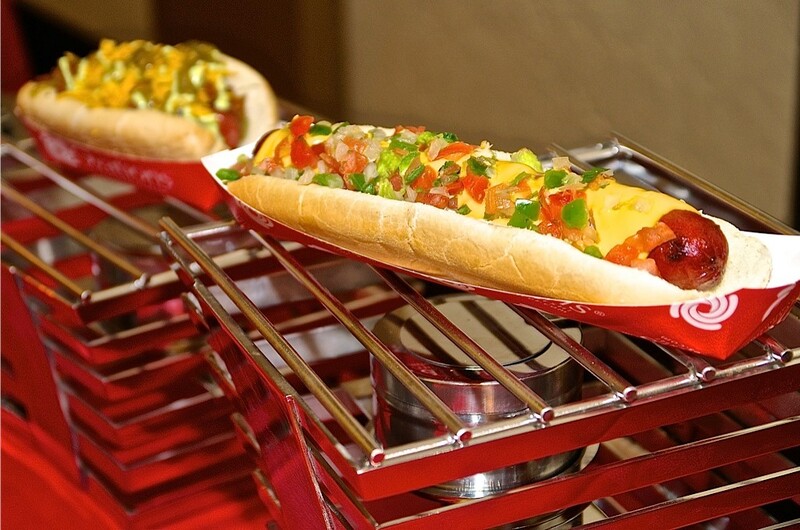 Let’s take a look at some new ballpark eats. 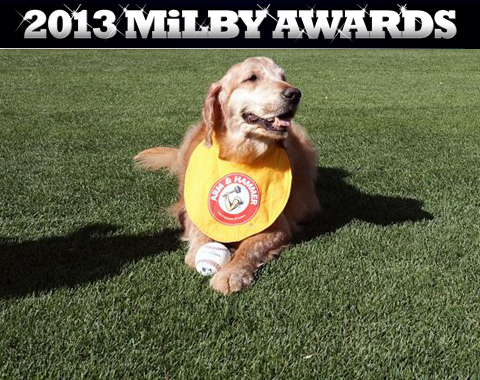 We’ll start with my old pals the Charleston RiverDogs. Longtime food and beverage boss John Schumaker has left the team in order to open his own restaurant, Harold’s Cabin, which is backed by team co-owners Mike Veeck and Bill “Yes, that Bill Murray” Murray. 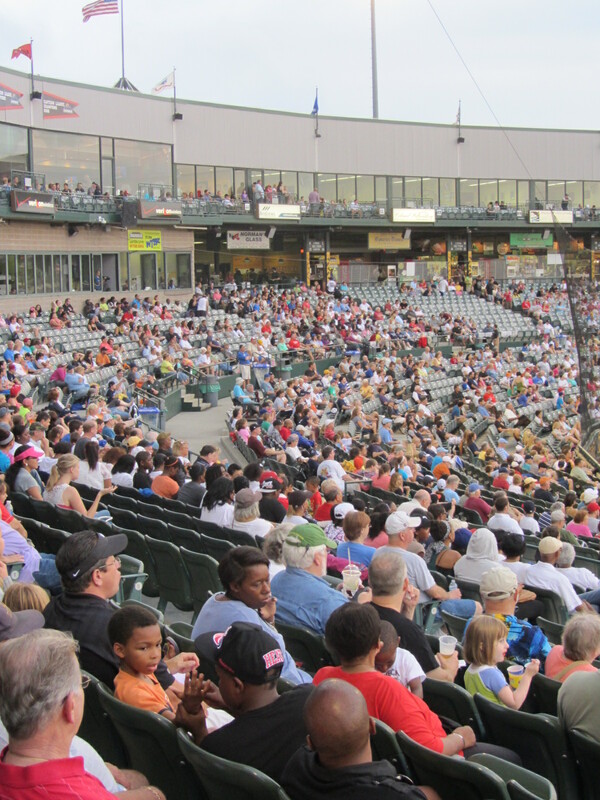 Nonetheless, the RiverDogs, led by food and beverage director Josh Shea, keep on keeping on with innovative ballpark cuisine. 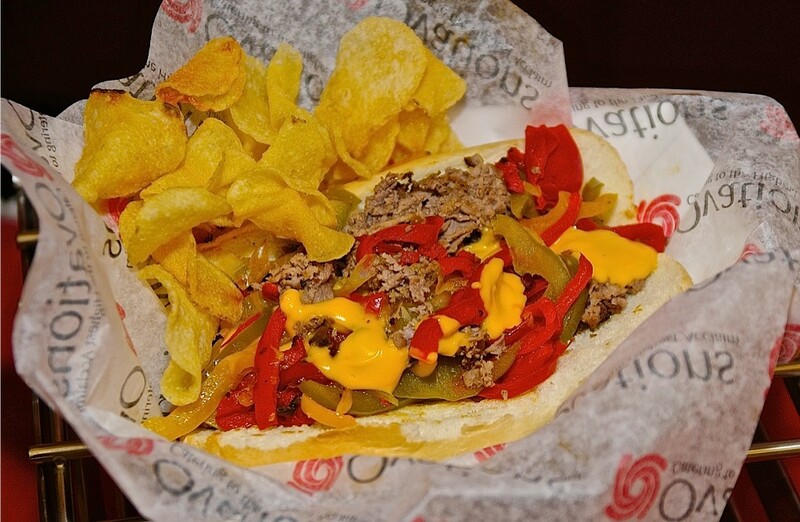 In Akron, my old pals the RubberDucks have unveiled this season’s “Extreme” menu items. The Squealer: Half-pound foot-long hot dog stuffed with pulled pork and cheddar cheese, then wrapped in bacon and deep-fried, and drizzled with barbeque sauce. The European Vacation: Foot-long bratwurst on a pierogi bun, topped with fiery feta cheese spread and roasted red peppers. Meet Your Maker Quesadilla: Triple-decker quesadilla with three jam-packed layers-layer one has hot dogs, Texas jack chili, and cheddar cheese; layer two has hamburger and American cheese, and layer three has chicken tenders, poutine gravy, and cheddar cheese. 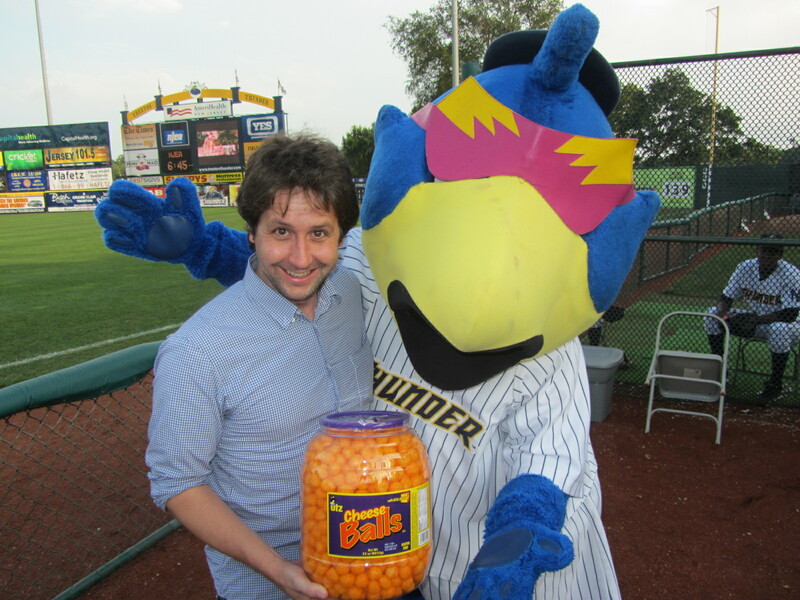 In Jacksonville, my old pals the Suns are now under the same ownership as the RubberDucks. Hence, the team’s “FUNdamentally Different” concession approach. Buffalo Chicken Bites in a Waffle Cone, Chicken and Waffles, Chicken “Limp” Biscuit (as good as a Korn dog? ), Pork and Slaw Dog, Philly Dog. 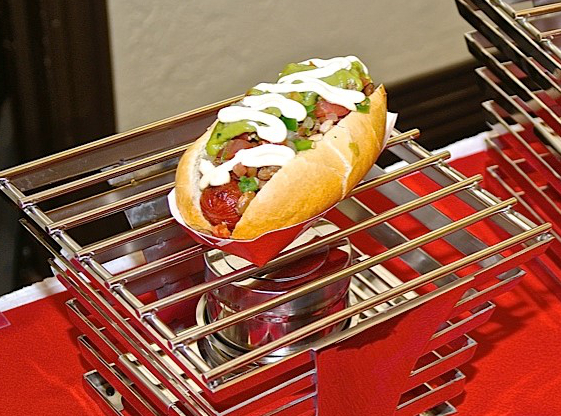 The last item, bottom left, appears to be a plain ol’ hot dog. Also of note: The Suns have renamed two of their concession stands in honor of local sports icons: Singh for Your Supper (golfer Vijay Singh) and Sweet Tea-bow. 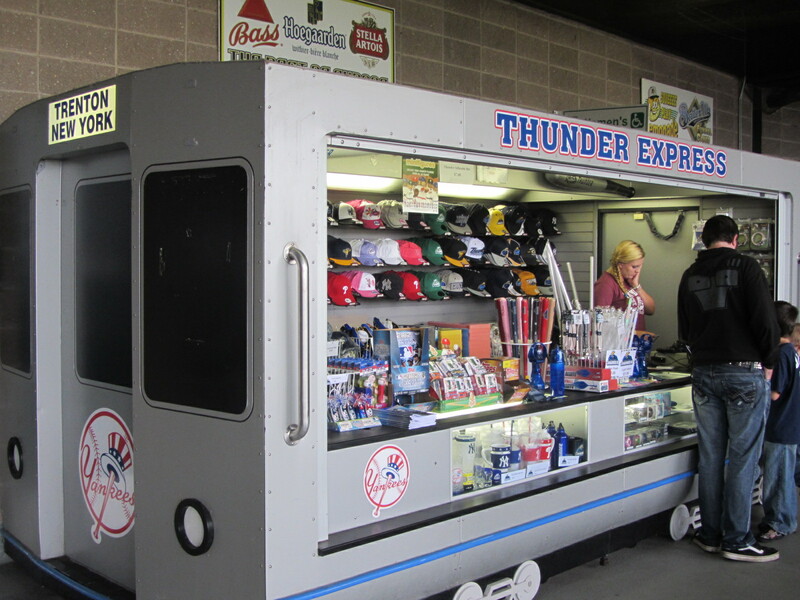 This season, the Thunder have a “Pork Roll Paradise” food stand at the ballpark. Oink, Cluck and Moo — a classic pork roll, egg and cheese sandwich. Served, as all Ween fans know, on a kaiser bun. 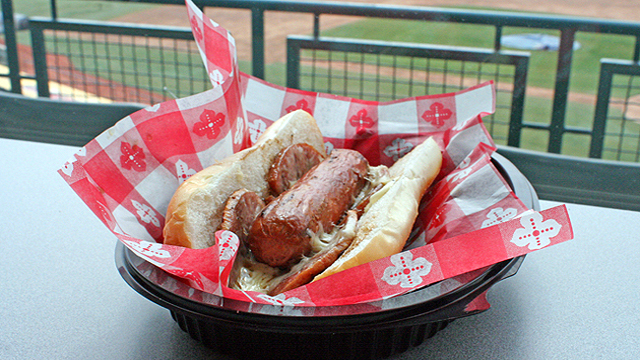 Thunder Dog — A hot dog with pork roll slices and American cheese on a torpedo roll. Pig Pen — Chopped pork roll, pulled pork and bacon bits atop mashed potatoes. 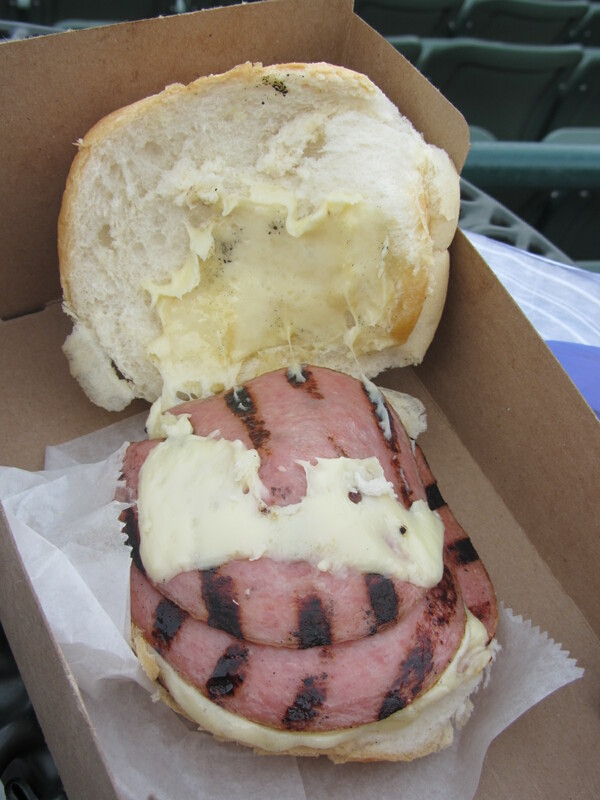 Hog Steak — Chopped pork roll with Cheez Whiz on a torpedo roll. 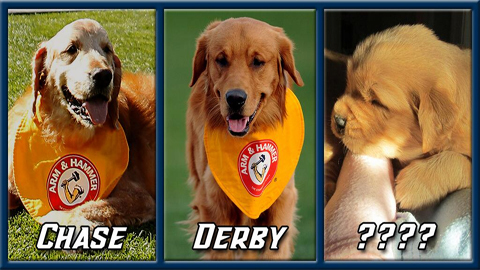 My old pals the West Michigan Whitecaps are no strangers to attention-getting food items. This year’s Fan Food Vote winner hasn’t garnered the viral acclaim of the Baco or Fifth Third Burger, but nonetheless it exists. Existence is the most important thing. This is the “Dutch Love” — turkey pot roast, cheese curds and fries in a pita wrap. And here’s a weird one out of Fresno, where my old pals the Grizzlies are offering “Hot Cheetos Dusted Fries”. What better place to end than with a weird one? I’ll follow up with an accompanying drinks post in the near future, so if you’ve got something to share on that front then please get in touch. Also, my 2016 road trip itineraries are coming soon. Promise. Happy New Year! I started this blog in 2007, which means that 2016 is the 10th year in which it has existed. And yet, this blog will not turn 10 years old for another 20 months. This is a real headscratcher, perhaps the blog anniversary equivalent of the Monty Hall Problem. Yes, it’s 2016. 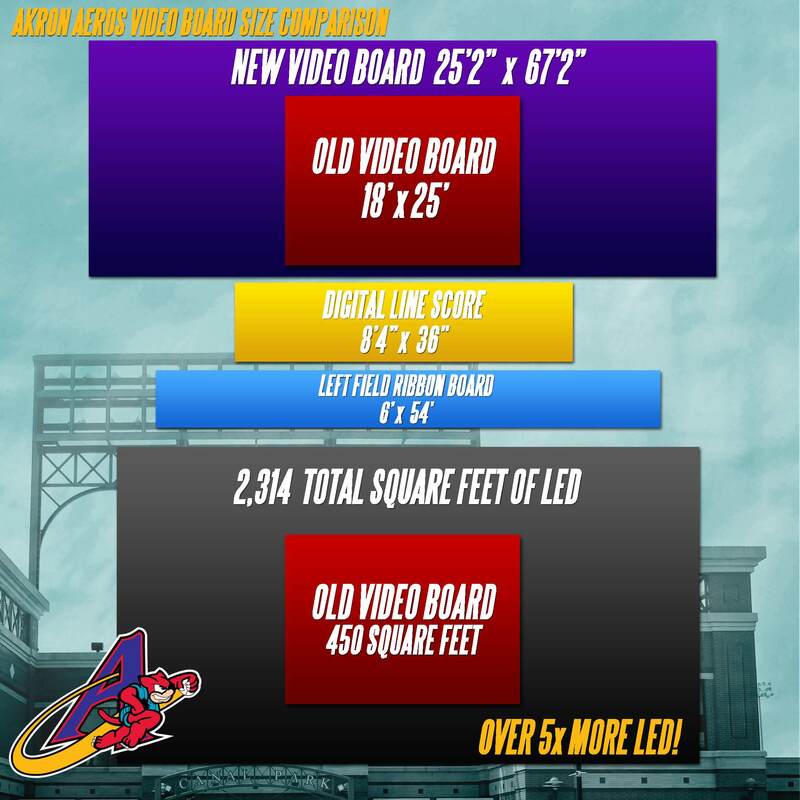 But let’s begin with my favorite team-produced video of 2015, which comes courtesy of the Norfolk Tides. And, just out of curiosity, what do you think? Are these logos worthy of excoriation? I, for one, think that the sea horse is pregnant with possibility. Moving on from excoriation to exfoliation: Dr Zizmor, a legend of New York City subway advertising, has announced his retirement. I think a “Salute to Dr. Zizmor” promo within the NYC market would be great, but maybe that’s simply because it’s the first week back from the holidays and my brain is not yet up to fully-functioning status. It might never get there. 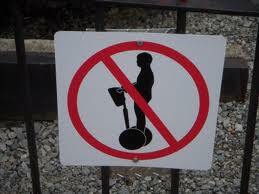 I’ve got no Segway, which is one of the reasons I ride the subway. So let’s get this one hover with and rock and roll on to the next item. You may recall that, during last month’s Winter Meetings Trade Show, OT Sports was hawking KISS theme jerseys. KISS theme jerseys will inevitably lead to larger KISS theme promos, and there is a precedent for that sort of thing. Teams thinking of jumping on the 2016 KISS bandwagon can pick up pointers from the Prince William Cannons (1998) and Rancho Cucamonga Quakes (1999); both of these promos were overseen by Pat Filippone (currently president of the Seventh Inning Stretch ownership group). Click on the above links and learn, while coming to terms with the fact that I am unable to close this bit with a good KISS reference. I gave it my Beth, though. 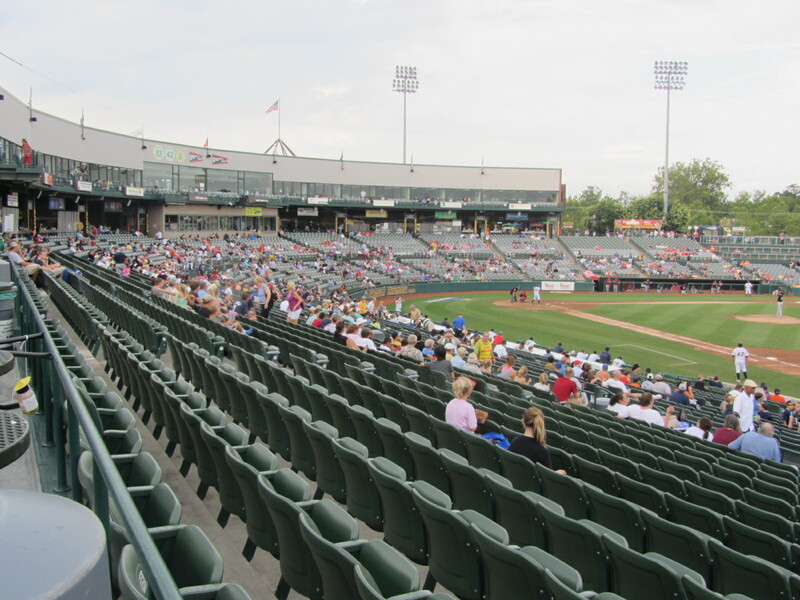 Given their innate desire to never alienate the fan base, Minor League teams are loathe to dive into the murky waters of politics. But Lowell Spinners’ mascot Canaligator already lives in murky waters, so he’s gone ahead and launched a presidential campaign. Canaligator has long had his own Twitter account, but today he began a separate account solely devoted to his political aspirations. Groundbreaking. Canaligator has not aligned himself as a member of a specific party. Why is he hiding his long-standing Green Party roots? Get it? Because he’s green. 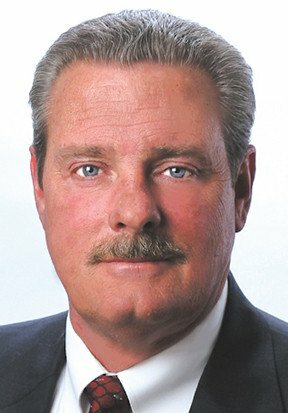 Fierko was a member of the Thunder front office staff in 1994 when the franchise began operation. 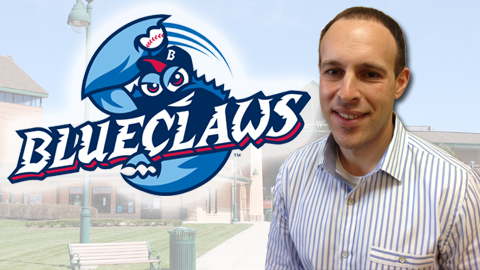 Fierko spent four years with the Thunder as Director of Ticket Sales before embarking on a career that saw him spend time with the Philadelphia 76ers, the ECHL, the Trenton Devils, the Lakewood BlueClaws and Comcast Sports Net Philadelphia. Fierko’s first stint with the Thunder began so long ago, a baby born at that time can now legally drink. 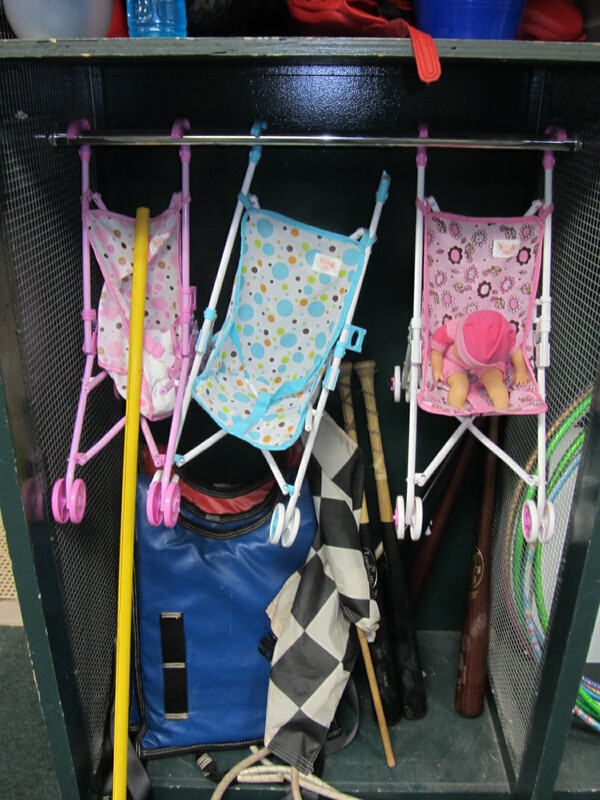 Those long-ago babies can not yet rent a car, however. That milestone will not occur until 2019. After making a visit to the ballpark last fall, students from three classes, working in teams as part of an economics unit, were asked to generate ideas for a Legends giveaway. Students conducted research, designed products, and then created and conducted surveys of other students, faculty and administrators to get their reactions. 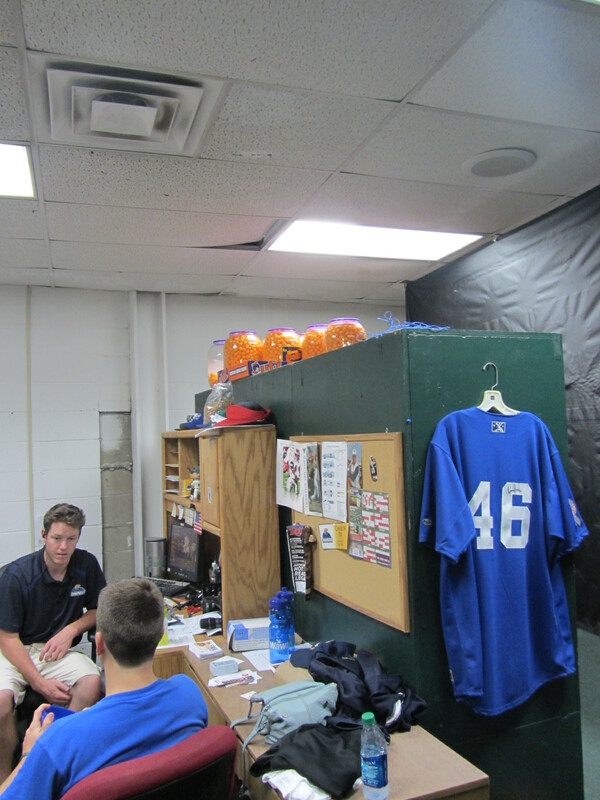 Here’s a picture of some of the kids in brainstorming mode, aided and abetted by Ty Cobb (yes, Ty Cobb). Stay tuned to see what these kids come up with. And, other teams: Steal this idea. 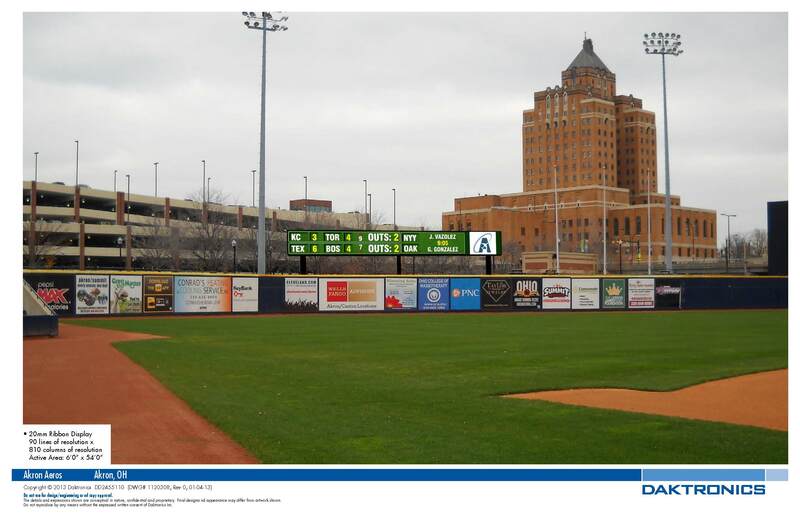 April 27, as you well know, is “National Tell A Story Day.” The Akron RubberDucks, seeking to commemorate this beloved annual occasion, were recently struck with a burst of inspiration: Why not pay tribute to disgraced NBC news anchor Brian Williams, a man who has recently proven himself to be a storyteller par excellence? I’m guessing that the suspenders will help suspend fans’ belief that such a ridiculous promotion is actually taking place. 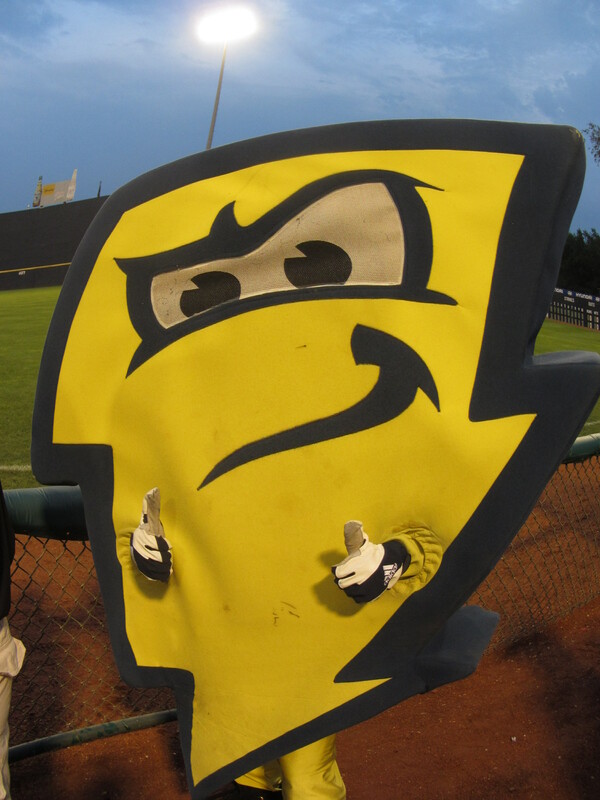 I would also like to know how, exactly, that the RubberDucks’ plan to obtain a pair of Brian Williams’ pants for the on-field “pants on fire” ceremony. Did they have just so happen to have a pair lying around, right next to Brokaw’s blazer and a pair of Cronkite cuff links? I heard a rumor they also might have a pair of Dan’s underwear, but I’d Rather not go there. Either way, I’m looking forward to April 27. 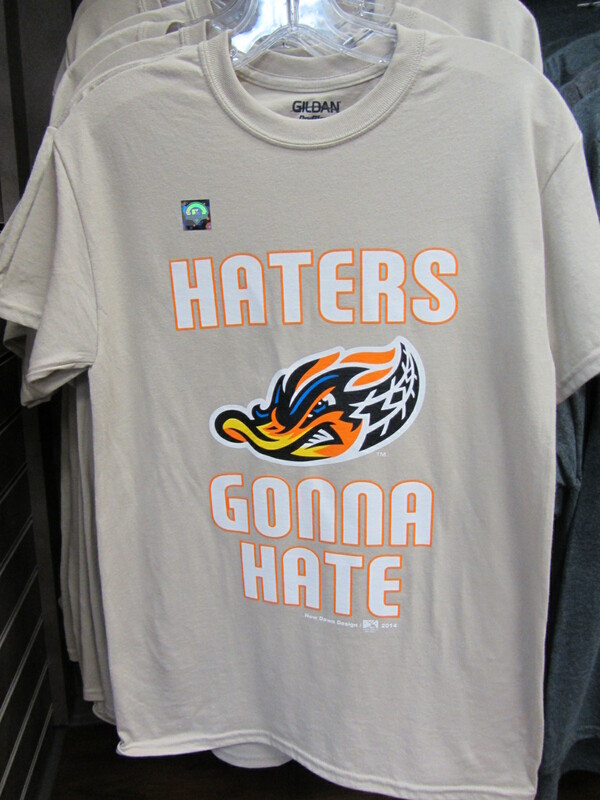 Here’s hoping the RubberDucks actually go through with this promo, and don’t later claim that the idea had, in fact, been shot down. 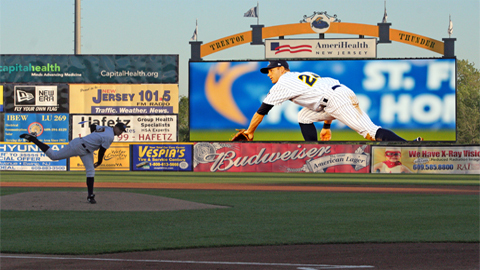 Your Thunder proudly extend an official invitation to Mr. Stewart to enjoy a game in the family-friendly environment of ARM & HAMMER Park. 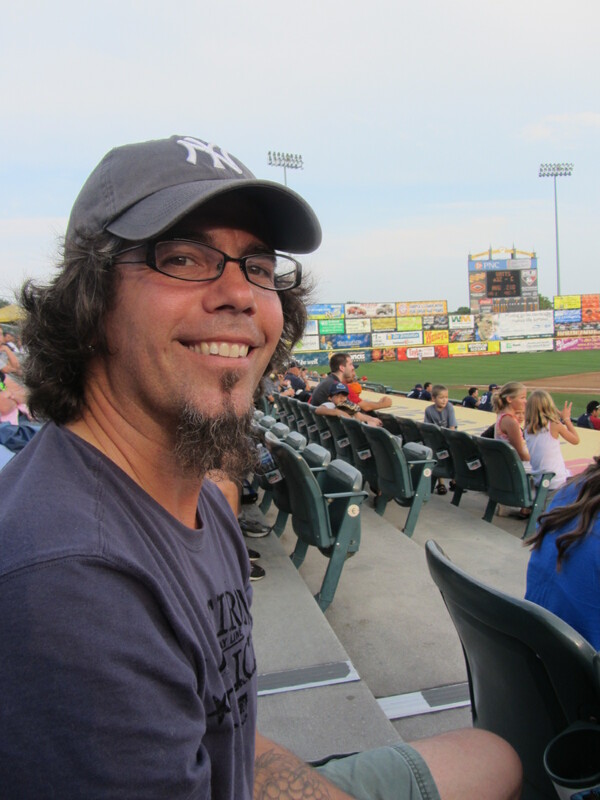 Stewart, a well-known Mets fan, is welcome to attend the Binghamton Mets’ only visit to ARM & HAMMER Park during a four-game series beginning on July 23. 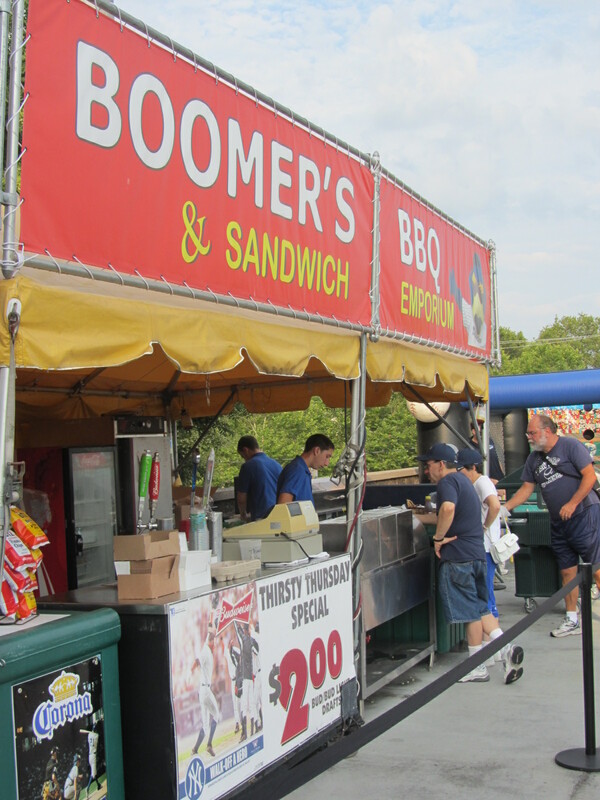 That weekend the Thunder will giveaway CC Sabathia bobbleheads presented by TD Bank (July 24 to the first 2,000 fans ages 14 and over) and have two opportunities to watch fireworks shows (July 23 and 25). On Sunday July 26, the first 1,000 fans (age 14 and over) through the gate will get a duffle bag, and after the game, kids can run the bases courtesy of TD Bank. 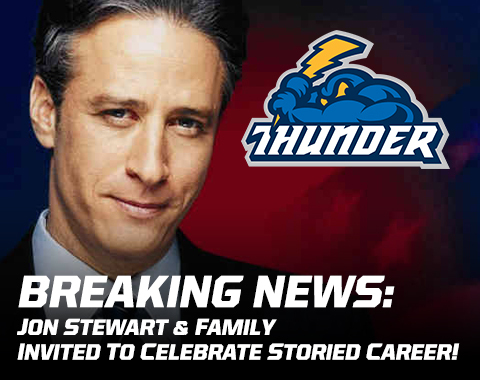 My sources (aka “the voices in my head that compel me to keep writing nonsense long after people have stopped reading”) tell me that the Thunder briefly considered extending a similar invite to Stewart’s The Daily Show predecessor. That idea, however, was Kilborn. 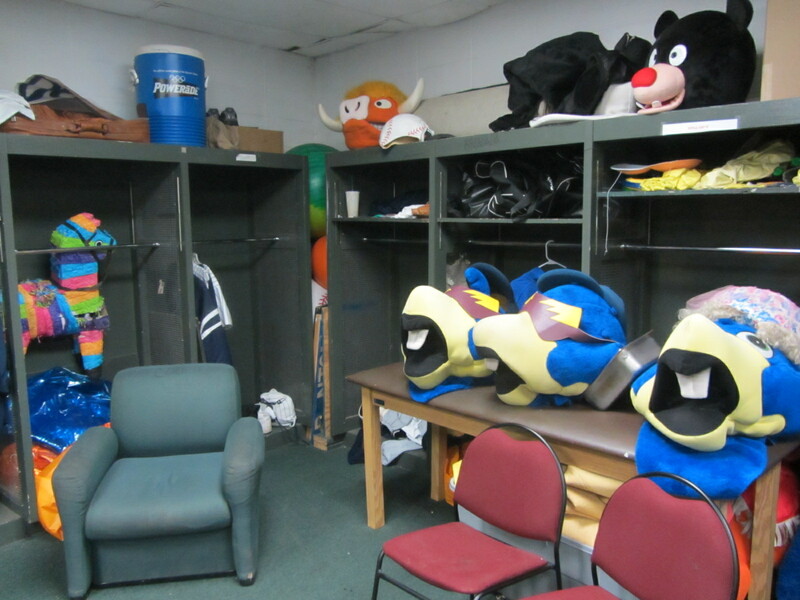 I’ve recently dedicated a post to showcasing new mascots that can be seen around the Minors; today’s post will focus on that other integral aspect of the Minor League Baseball experience: the food. 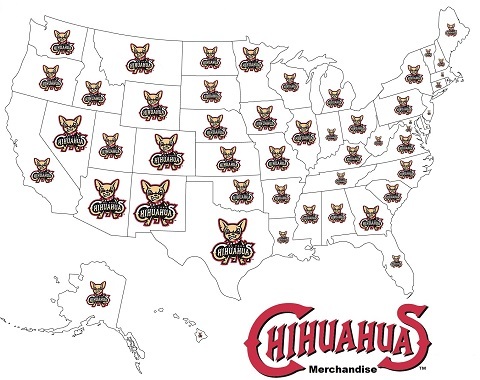 Let’s start with the El Paso Chihuahuas, who play their first-ever ballgame at brand-new Southwest University Park on April 28. 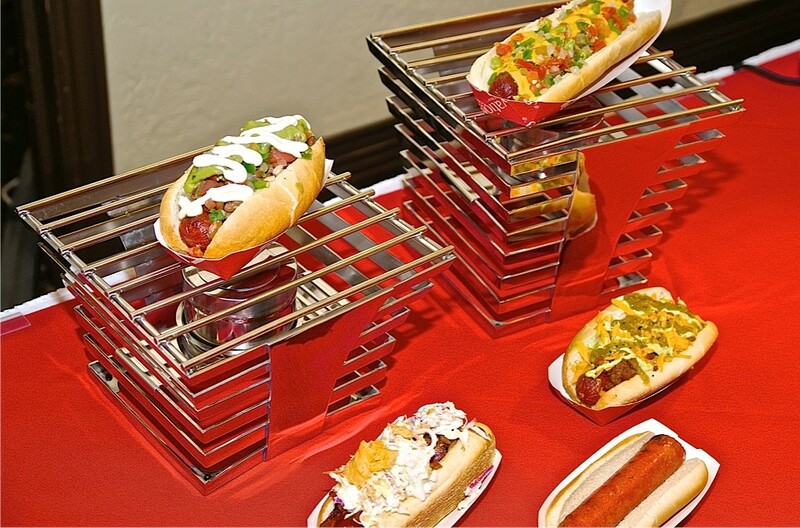 Concessions at the new facility will be provided by Ovations, who unveiled the ballpark menu last month. Fairly thorough coverage of some of the more unique items can be found HERE and HERE among other places, including an awesome looking beef brisket “Salpicon Salad” that very well may be gluten-free (fingers crossed, I’ll be there on April 29 and 30 and will find out for sure). 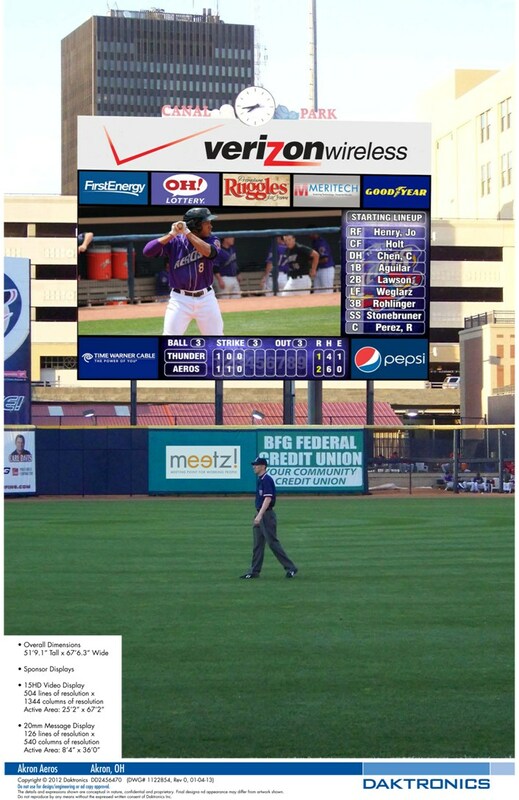 I contacted the team in the wake of their concessions unveiling, and Ovations’ Jeff Hanauer responded with the following pictures. And that is what you’re all here for, what you’re always here for: the pictures. Let’s proceed. 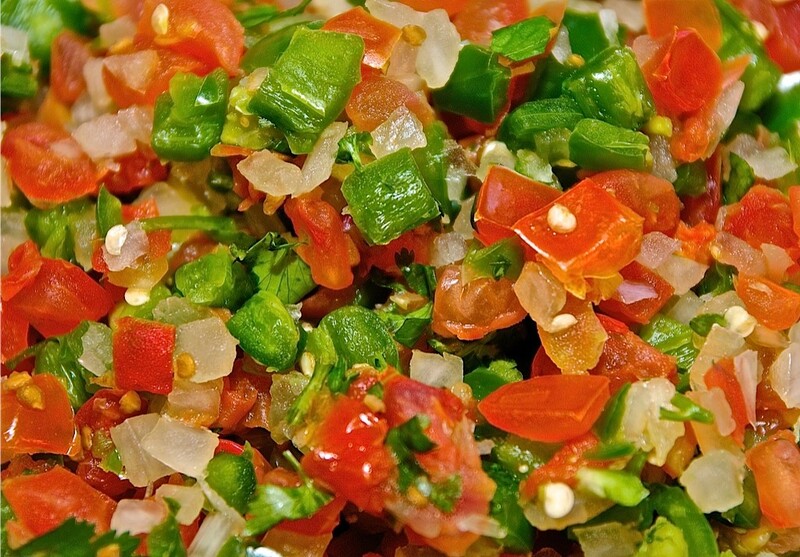 The Pico de Gallo will be included with many of the Chihuahuas’ Mexican-themed offerings. It looks outstanding, and this picture is suitable for framing. This sandwich is called, “From Philly, with Love”. Pretzilla Bacon Cheeseburger (a pretzel bun with a one-third pound hamburger patty, bacon and cheese). Coaches’ Sandwich – In honor of the three Whitecaps coaches, who hail from Australia (Andrew Graham), Texas (Mike Henneman) and Cuba (Nelson Santovenia), this sandwich includes two slices of ham, Hormel barbeque pulled pork, pickle shreddies, Swiss cheese and shrimp served on a sub bun. 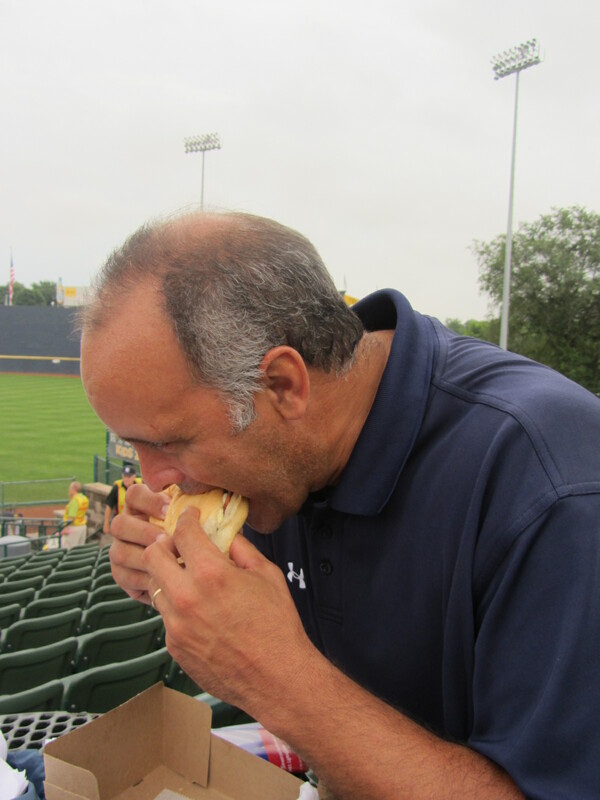 Tony Gates Venison Burger – Named after the 97 WLAV local radio personality who is passionate about the outdoors and is an avid hunter, this venison burger on a bun and will be served at the Steak Cart behind home plate. Over in Kannapolis, the Intimidators have unveiled some notable new additions. 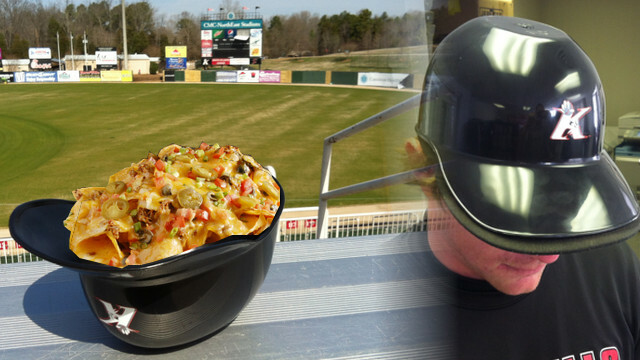 This one is self-explanatory, but I’ll explain: a 64 ounce serving of loaded nachos, served in a batting helmet. 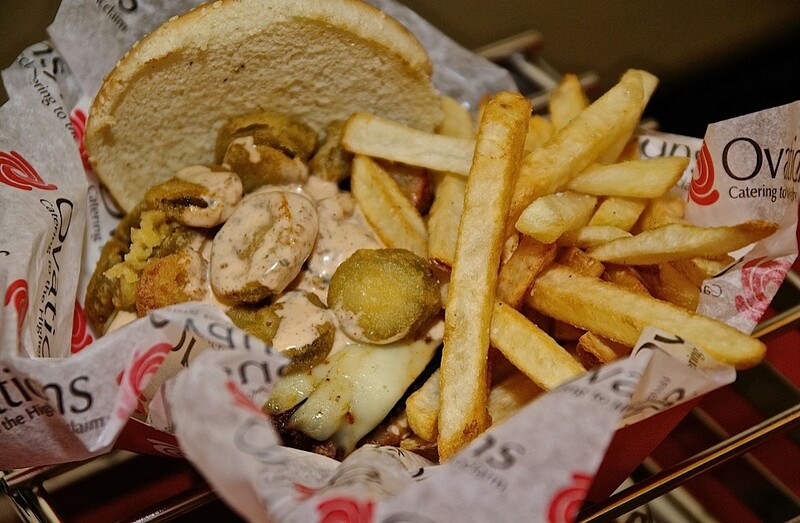 Also of note is the Dale’s Mater sandwich, a favorite of Dale Earnhardt (for whom the Intimidators are named). It is, quite simply, a tomato sandwich with Duke’s mayonnaise. Another new addition on the first base side is Mega Nachos, where fans can build-their-own nachos from a variety of toppings including: cheese, queso, chili, steak, chicken, pulled pork, lettuce, tomatoes, onions, jalapenos, salsa, guacamole, sour cream, and olives. 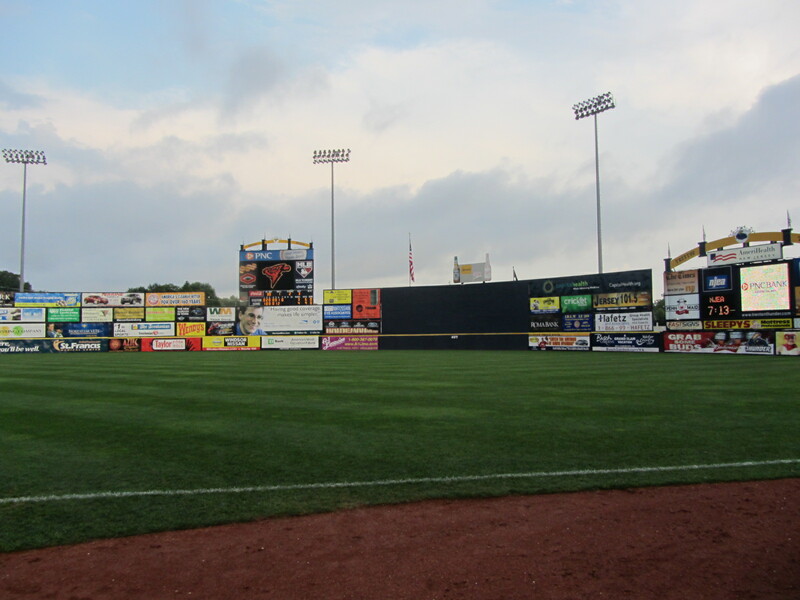 And, hey, for those of you who consider gluttony to be a virtue: the Frederick Keys have recently announced a rather considerable eating challenge. Think you can do it? If so, what’s wrong with you? 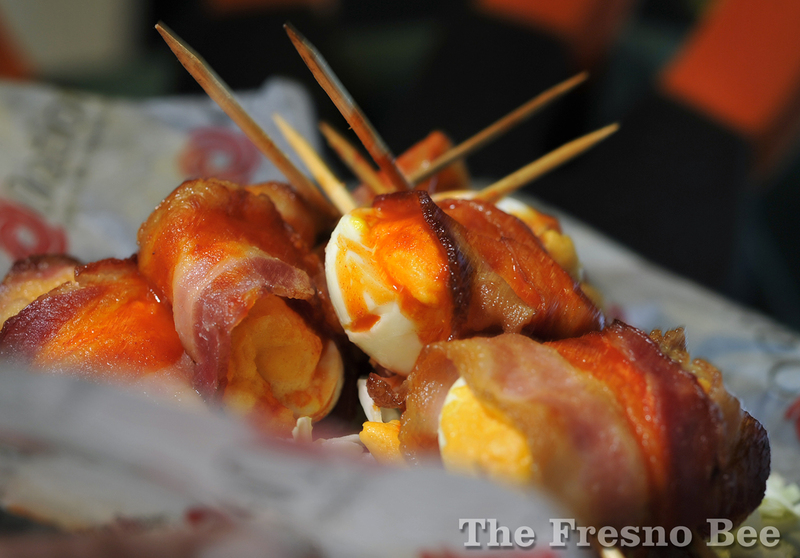 Finally, in Fresno, the Grizzlies are now serving a “Grizzly Egg.” Per the Fresno Bee, it’s a “cream cheese-filled deviled egg, wrapped in bacon, baked and drizzled in buffalo sauce.” This thing better be gluten-free, because it looks awesome! 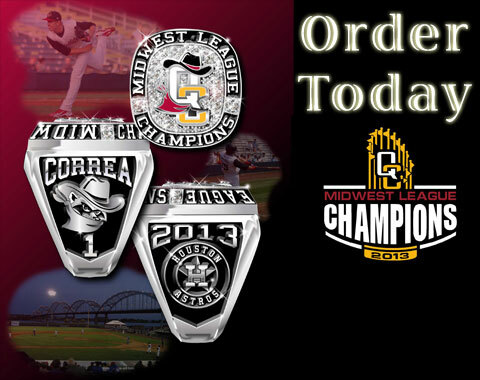 — New Promo Preview leads with the Louisville Bats Corky Miller #FeartheStache t-shirt. 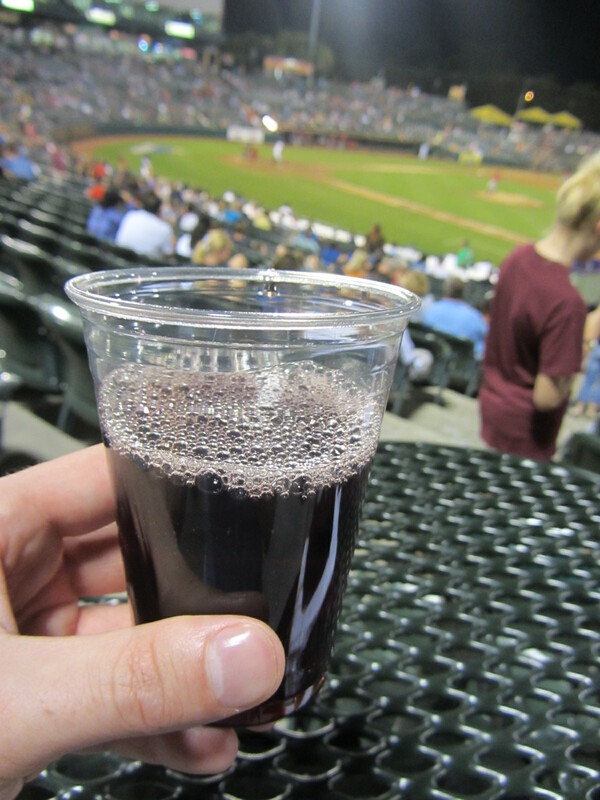 — New Farm’s Almanac takes a look at team-branded beer throughout the Minors. And, as always, much more to come! There’s a reason that I say that I am the greatest of all time: because it’s true. With a few exceptions, I’ve dedicated the month of October to writing about in-season endeavors that I did not get around to writing about during the season itself. So I guess it’s fitting that here on All Hallow’s Eve, also known as the last day of October, I have finally exhausted my supply of in-season content. 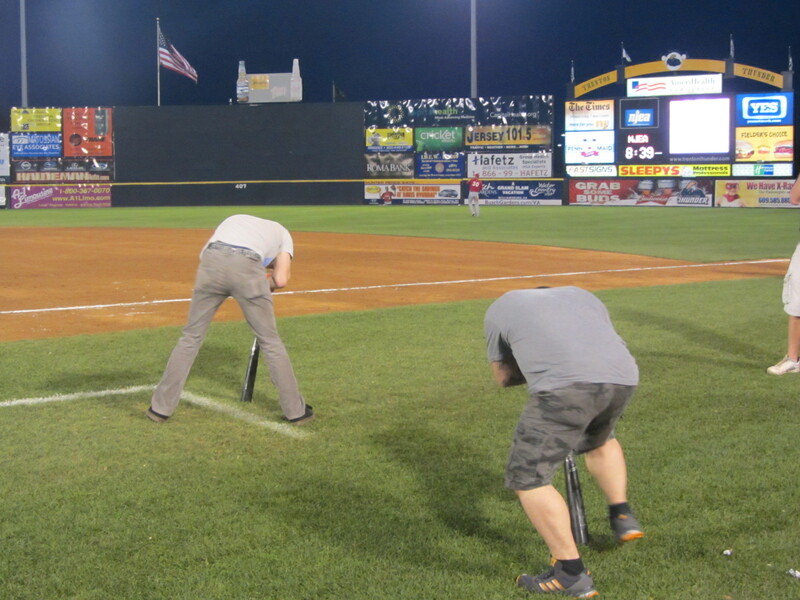 The only thing left in my “potential blog items” Excel spreadsheet involved Jacksonville Suns infielder Derek Dietrich and that time that he performed a post-game juggling exhibition. Seriously. 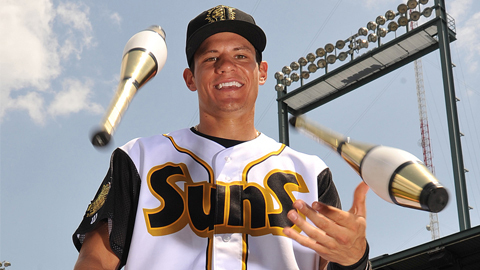 “Derek Dietrich Triples and Juggles Torches” — you know, just another day at the ol’ ballyard. Dietrich, a 24-year-old infielder who logged 57 games with the Miami Marlins this season, pulled of the above feat during August 13’s game against Birmingham. 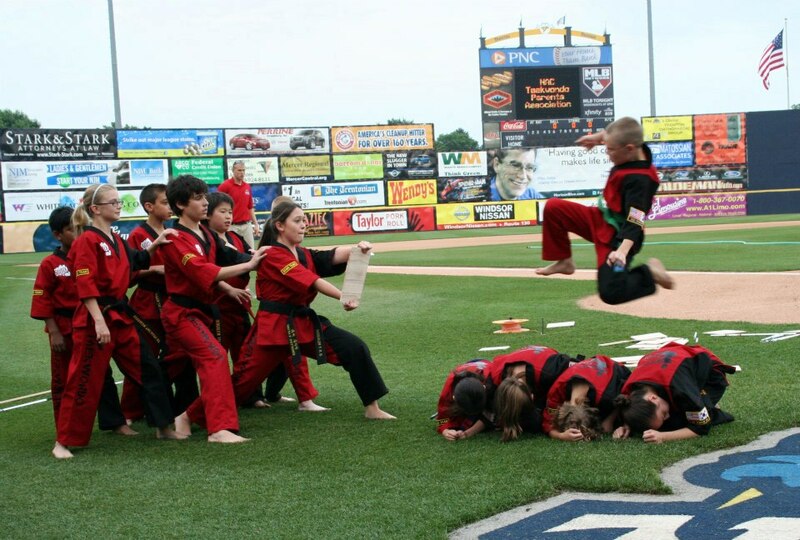 But that wasn’t the only time he took the field in order to toss dangerous items about. Here he is throwing some knives around, potential trip to the disabled list be damned. 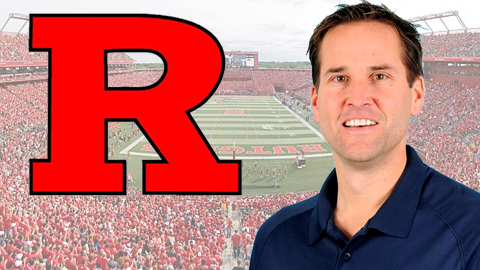 Read the article HERE, which will be my last piece of content recapping the 2013 campaign. The starting pitcher, Austin Urban, struggled in the first half of the game. 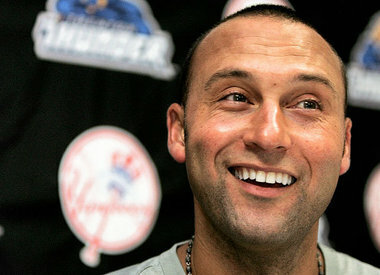 In four innings, he had given up 8 runs on 8 hits, including the Calderon grand slam. But in the resumption of the game, Urban was given a chance to atone. Urban, given the opportunity to keep his team in the game, shut down the same Yankee lineup he had struggled against the month before. In the four innings he pitched after the game was resumed, Urban gave up only 1 hit and 3 walks, striking out 4. Urban’s final line is strange to say the least: 8 innings pitched, 9 hits, 8 runs (all earned), 6 walks, and 6 strikeouts. All told, he threw a staggering 156 pitches, a number that would seem impossible if there weren’t a 32-day break in between pitch number 72 and 73. Stump your friends! 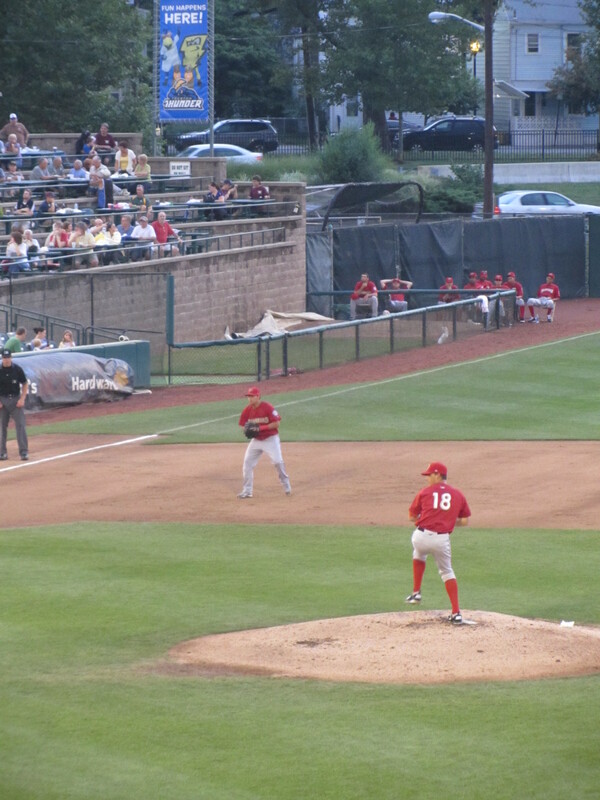 In 2013, no professional pitcher threw more pitches in one outing than Austin Urban’s 156. And this concludes Ben’s Biz Blog post #998. 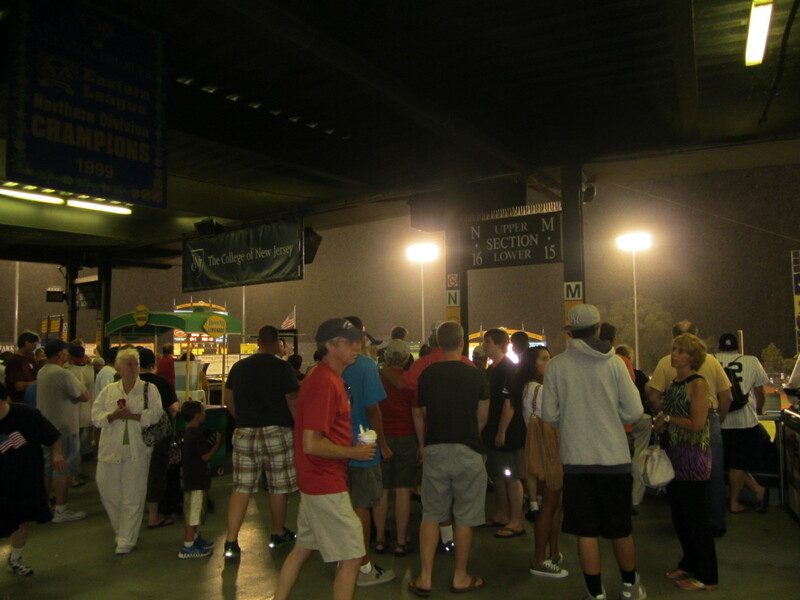 Today’s serialized Trenton Thunder adventure continues just where the last one left off: at a concession stand! 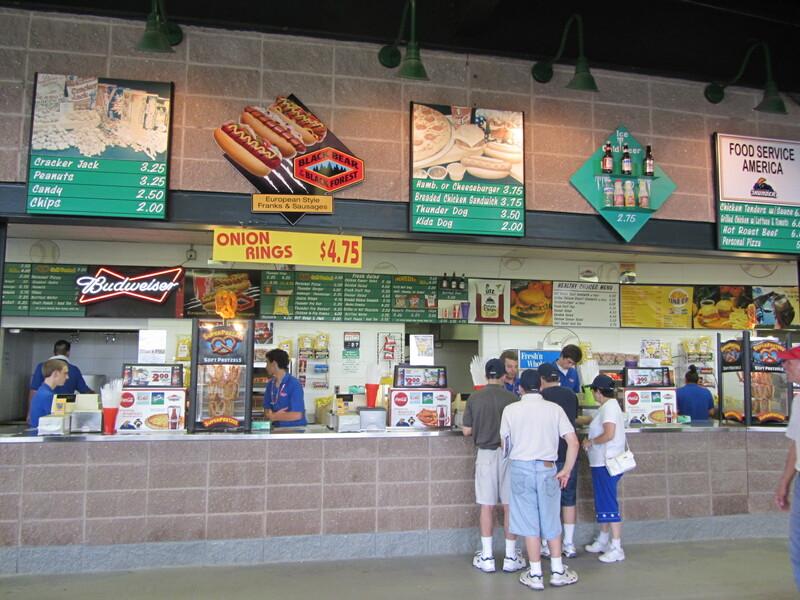 At not just any concession stand, but one featuring the Old Bay-doused “crab fries” of powerhouse Philly-area restaurateurs Chickie and Pete’s as well as the New Jersey specialty that is the pork roll sandwich. 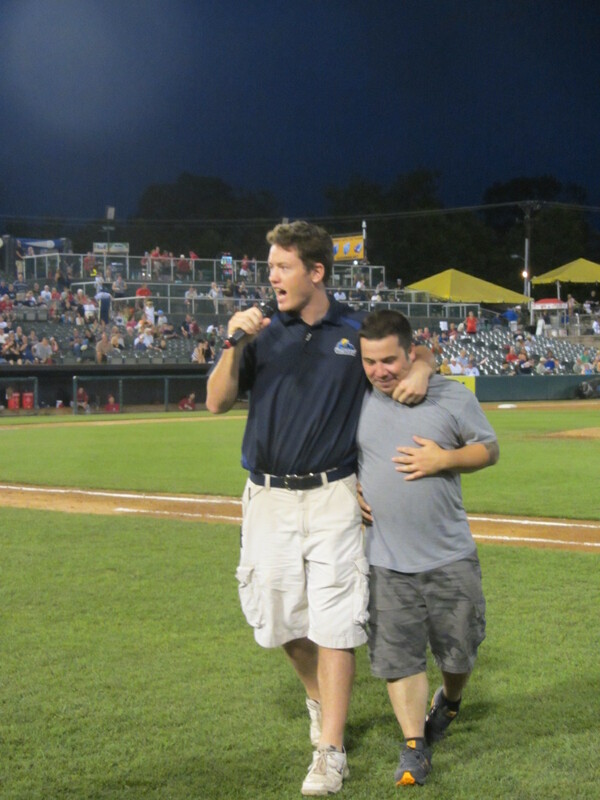 As you may recall, I was accompanied at this juncture of the evening by reader/proud Ambler, PA resident Jeff Vervlied. Not only did Vervlied give me a hat representing my hometown Little League, but he volunteered to be the first “designated eater” in Ben’s Biz Blog history (my recent celiac disease diagnosis has rendered much ballpark food off-limits). And what did I want him to eat? The pork roll sandwich, of course! 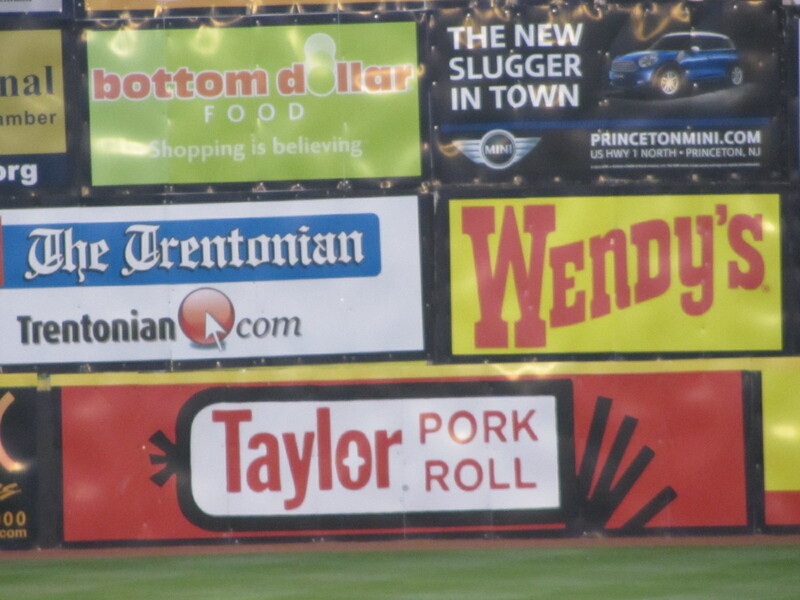 Pork roll is definitely a northeast thing, and specifically a Jersey thing (one of its most prominent appearances in pop culture is the uber-catchy and not-at-all drug influenced song “Pork Roll, Ham and Cheese” by New Hope, PA’s Ween). Per Wikipedia, it was invented by Trenton’s own John Taylor in 1856 and originally called “Taylor’s Prepared Ham.” But once the 1906 Pure Food and Drug Act of 1906 was passed, it no longer met the legal definition of ham. Hence: pork roll. Taylor is still a prime purveyor of the product, and well-represented amidst the Thunder’s kaleidoscopic jumble of outfield billboard images. And, finally, here is the pork roll sandwich in all its glory. Vervlied, the first “designated eater” in Ben’s Biz Blog history, dove right in. 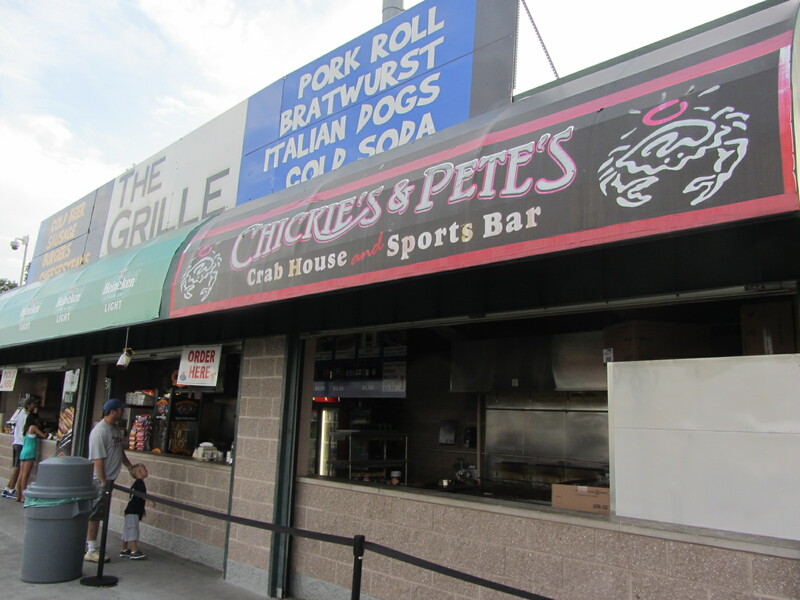 While the pork roll sandwich was obviously off-limits to me (it’s the bread, stupid), Chickie and Pete’s Crab Fries were good to go. 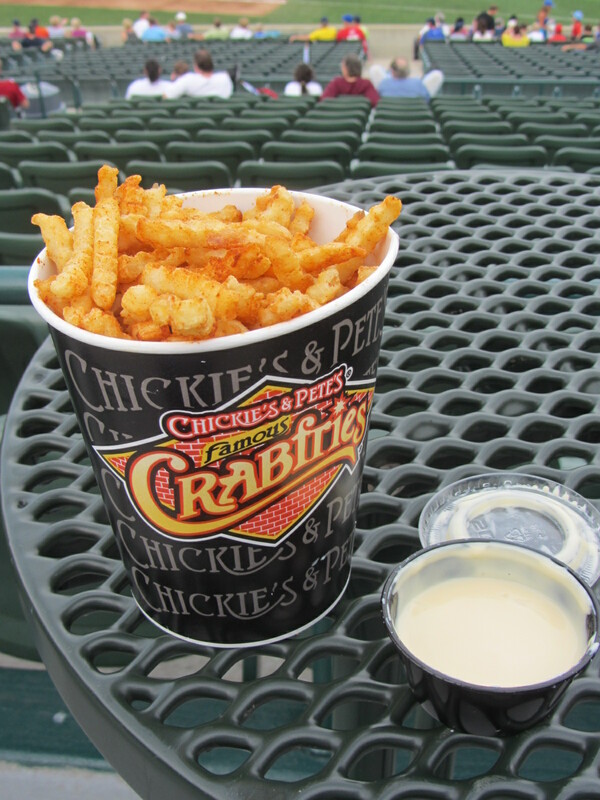 There’s really not much to it, but these things are addictive — crisp, thin, crinkle-cut fries covered in liberal amounts of Old Bay seasoning (hence, the “crab”) and accompanied by a dipping sauce that is, essentially, melted American cheese. While some don’t see the appeal, I absolutely love them. (Last month I missed a large portion of Iron Maiden’s set at the Camden Waterfront because of an insatiable urge to visit the Chickie and Pete’s concession stand). But enough about the food. 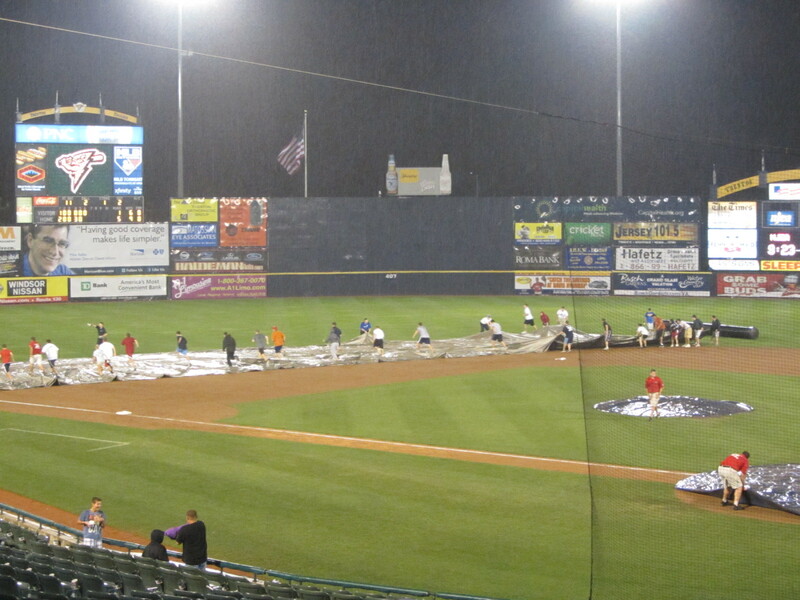 At this point, the game (the first of a doubleheader) was in full swing! 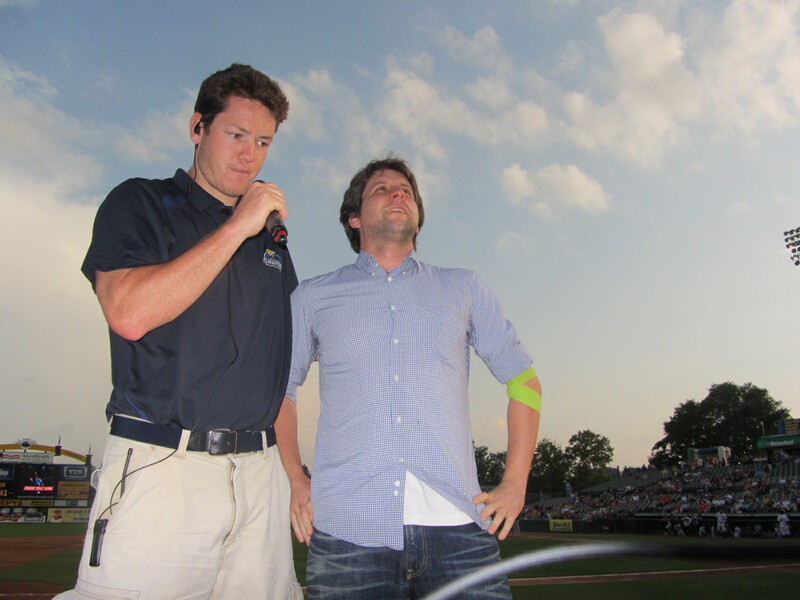 …and soon made an unsuccessful attempt to catch a t-shirt shot into the stands by “Facilitator of Awesomeness” (actual job title) Cameron Fox. And, jeez, where does the time go? 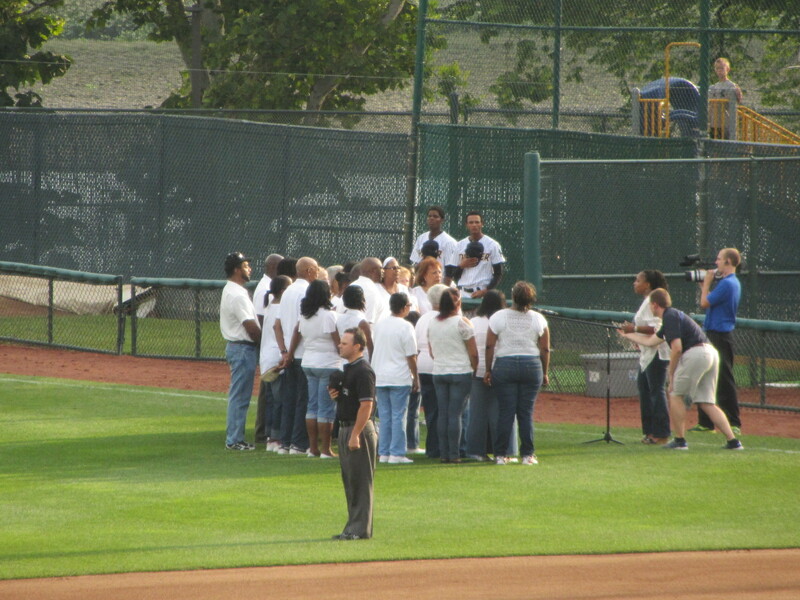 This game was just flying, and before I knew it a local church choir was singing “God Bless America” as part of the fifth inning stretch (remember, Minor League doubleheaders are only seven innings). Upon the conclusion of this nightly exercise in mandatory patriotism, I met up with Cameron so that he could facilitate some awesomeness involving me. I was a participant in the “Finish That Song” contest atop the third base dugout, going against an individual by the name of David Menegaux. Menegaux, whose default disposition seemed to be “bemused,” is a local musician who plays bass in a Van Halen tribute band by the name of Romeo Delight. He asked me if I knew of any Minor League teams who would book his band, and while I couldn’t say for certain I think these guys would be awesome as part of an ’80s rock themed “Thirsty Thursday” promotion. Check them out! The more I do this job, the more I find that the particular brand of awesomeness I am able to facilitate is making connections such as these. 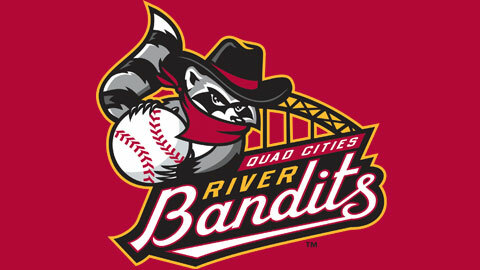 I would absolutely love it if this blog can be the vehicle for getting Romeo Delight a gig at a Minor League ballpark. Who can make it happen? Reading? Wilmington? 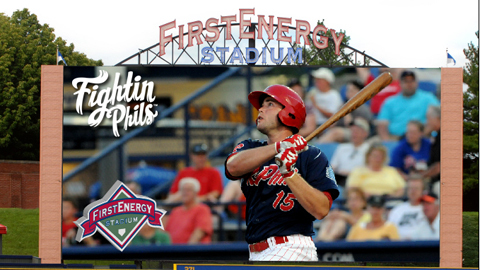 Lehigh Valley? Brooklyn? Connecticut? But anyway…I was up first in the “Finish That Tune” contest. 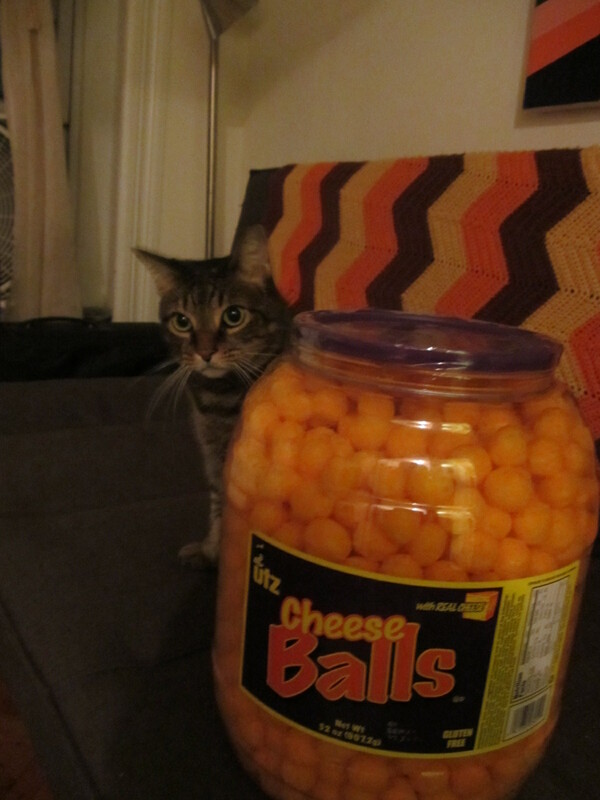 I won the cheese balls! 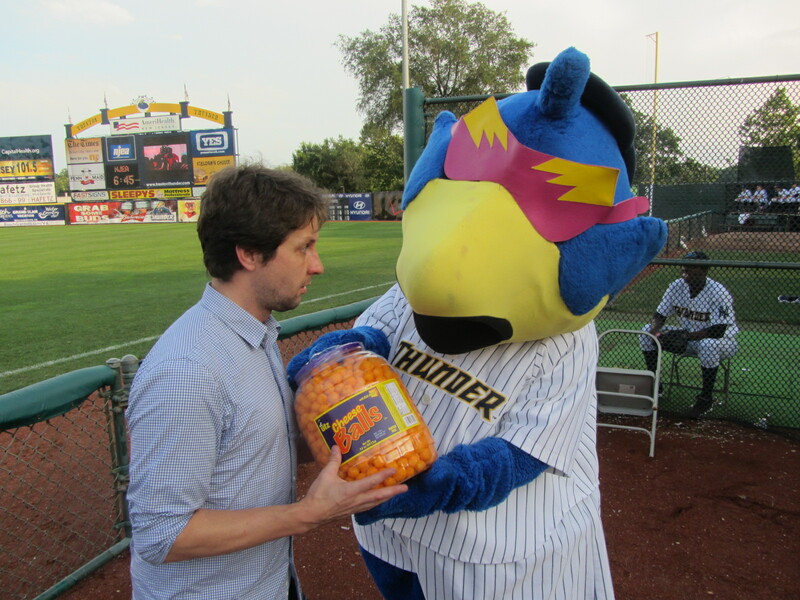 But as soon as I won them, mascot Boomer tried to steal them from me. 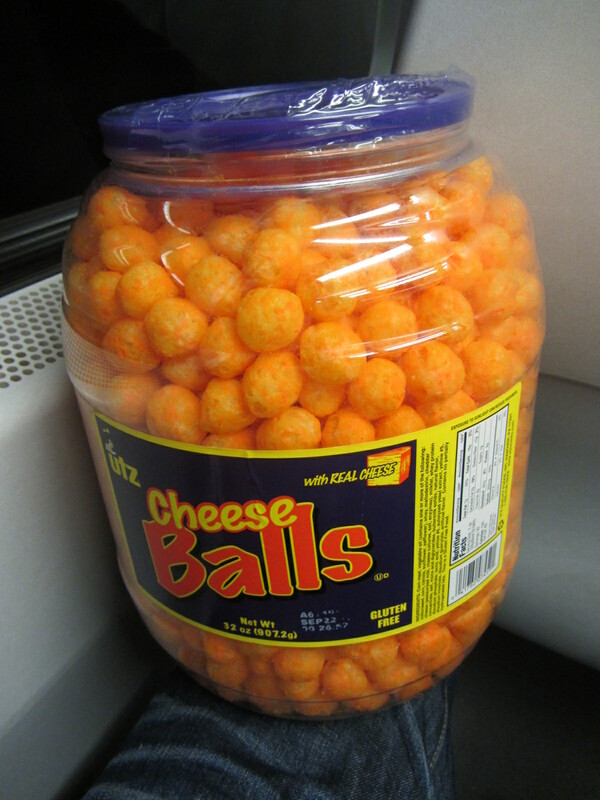 My first reaction upon winning the Cheese Balls was bittersweet, as I had assumed that I wouldn’t be able to eat them owing to, y’know, celiac disease. But, in perusing the label, I came across the two sweetest words in the English language. 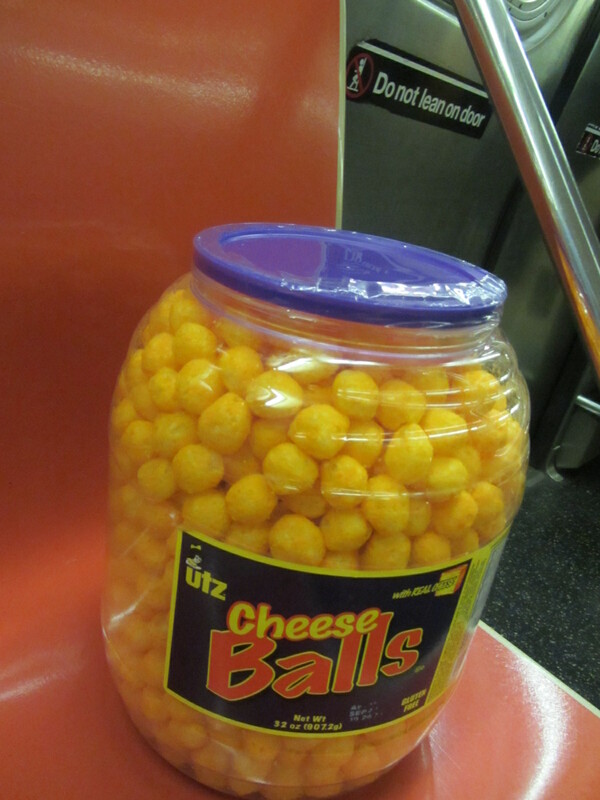 Before finally moving away from the topic of Utz Cheese Balls, I want to state that they are a phenomenal snack product. 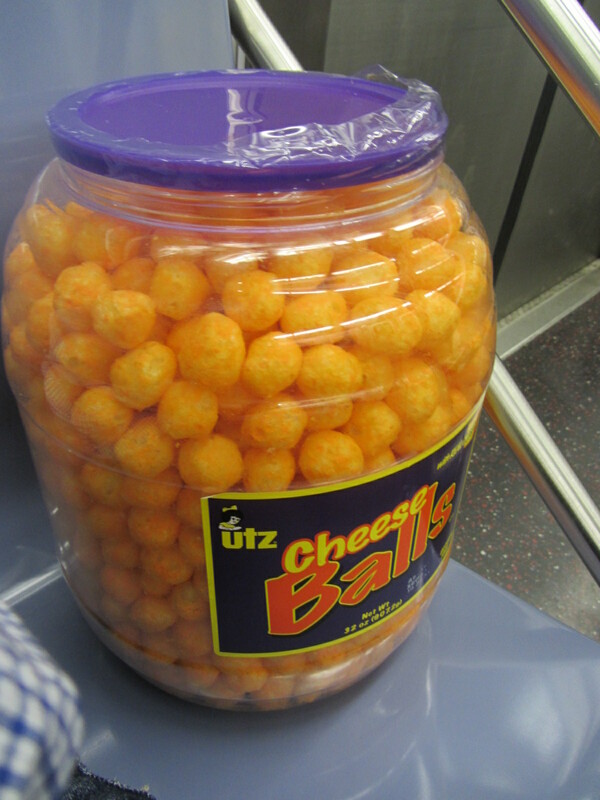 True story — I buy a tub every year on Super Bowl Sunday, and now that I know they’re gluten free this tradition will continue until western civilization collapses upon itself like a white dwarf that has exceeded its Chandrasekhar limit. Does anyone actually read this blog? No? Doesn’t matter. We’ve gone beyond material concerns at this point. 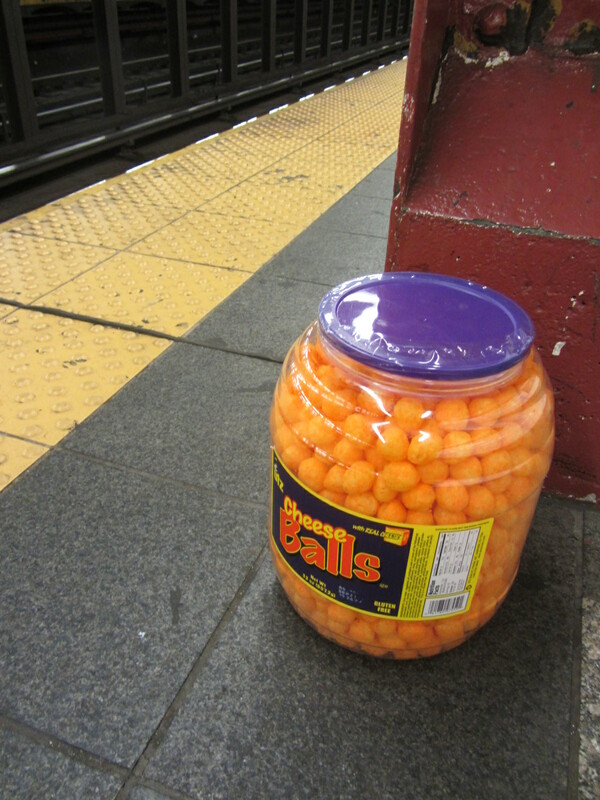 With cheese balls in hand, I went into an area of the stadium that few men dare to tread. 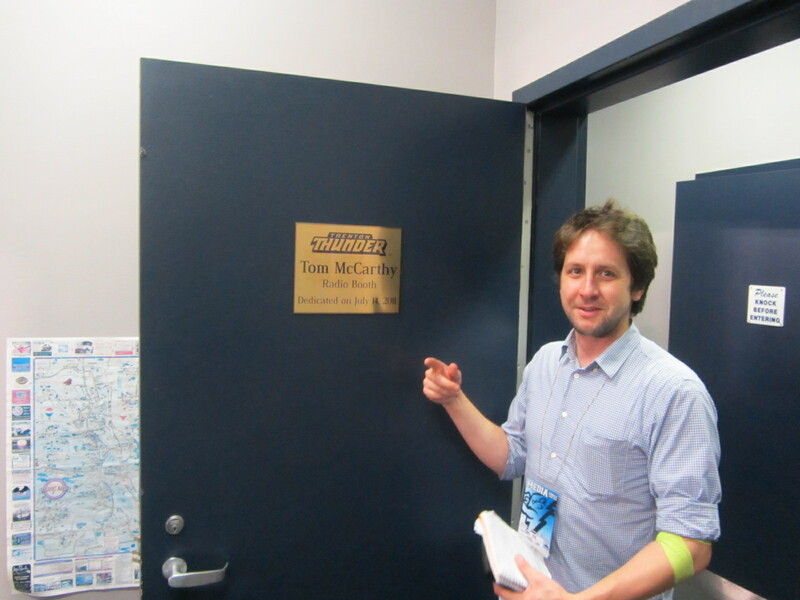 This is the base of operations for the promo staff, littered with the surreal tools of the trade. Hmmm…where have I seen these before? The funny thing about this room is that it doubles as a location for press conferences when rehabbing Yankees stars are in town. 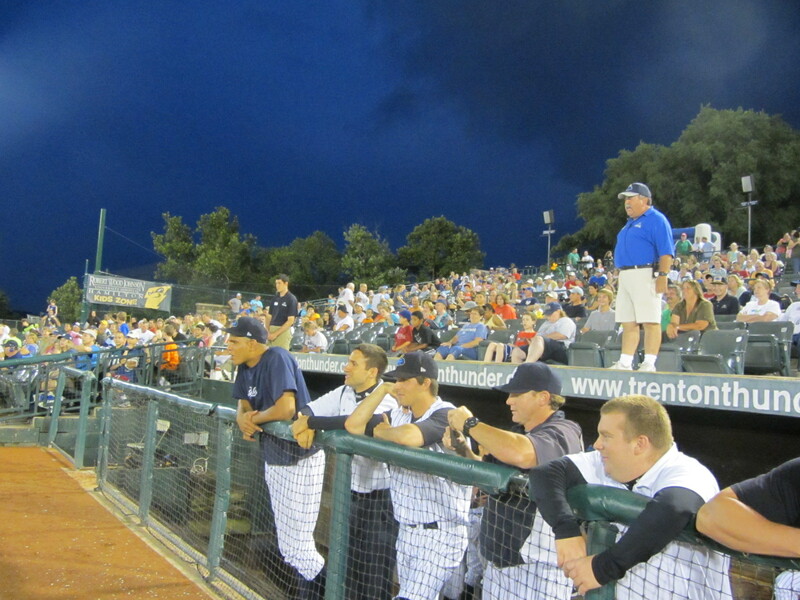 So the next time you see Derek Jeter, Andy Pettitte, Joba Chamberlain et al talking about how their night in Trenton went as they recover from injury, remember that such conversations are taking place amidst the atmosphere seen above. 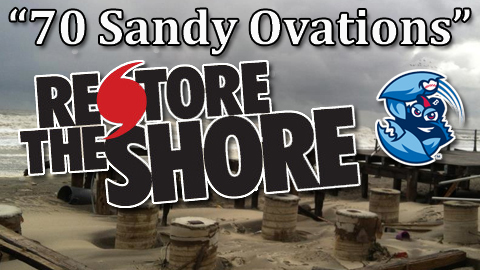 This picture didn’t come out well, but, hopefully, it illustrates what I’m talking about here. By this point, the first game of the doubleheader was in the books. 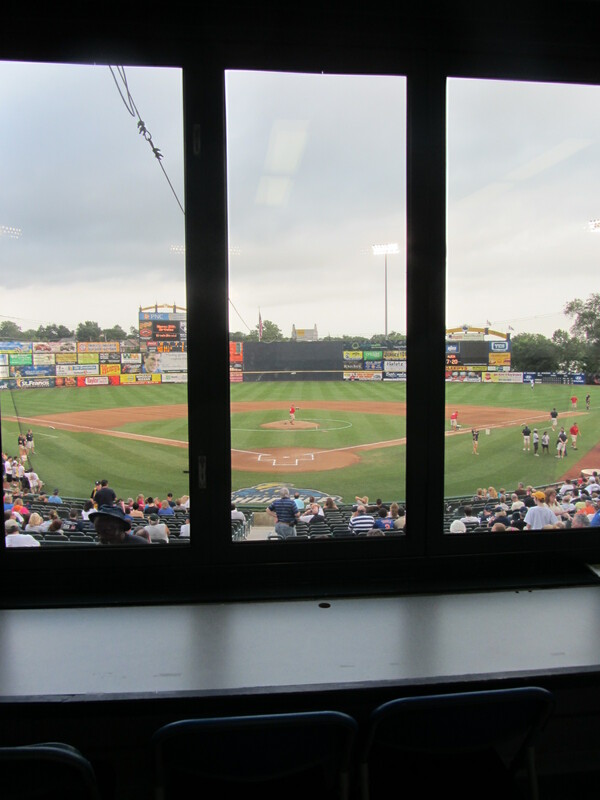 I briefly stopped in the press box to score some free iced tea, and while there took a photo of the view. 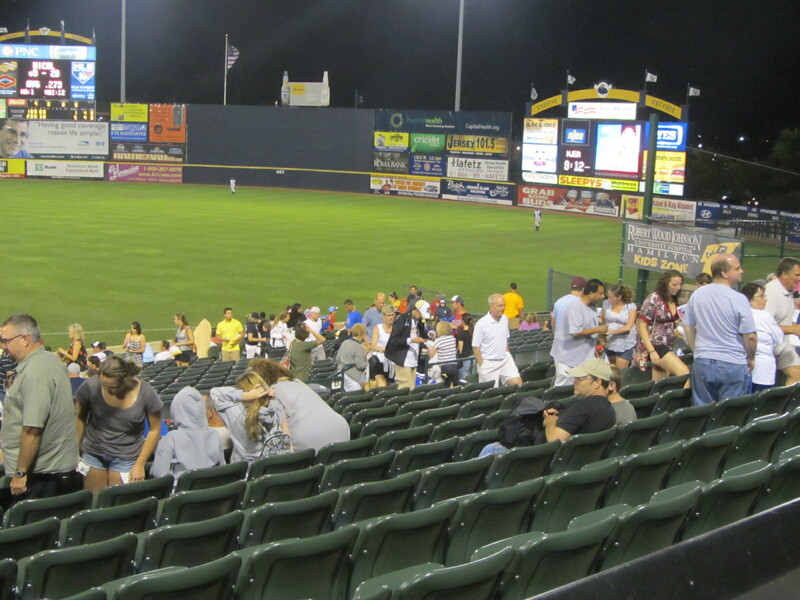 And, back on the concourse, I snapped a scene straight outta Norman Rockwell. 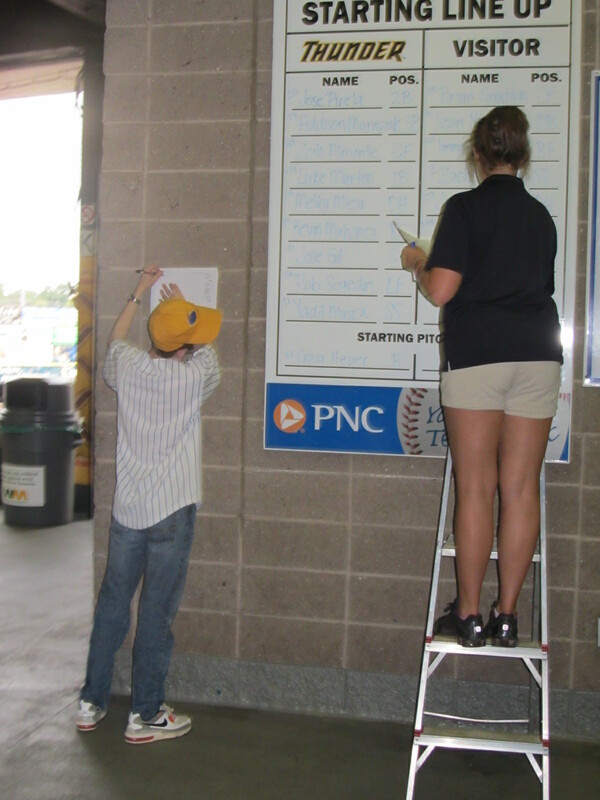 A Trenton Thunder employee was writing the game two starting line-ups on the whiteboard, with an eager young fan beside her immediately transcribing them into his scorebook. The crowd had filed into the park throughout the first game, and at this juncture there were quite a lot of people in the seats. Not knowing quite what to do with myself (relaxing and watching a baseball game was clearly out of the question), I met up with Cameron and the promo crew. 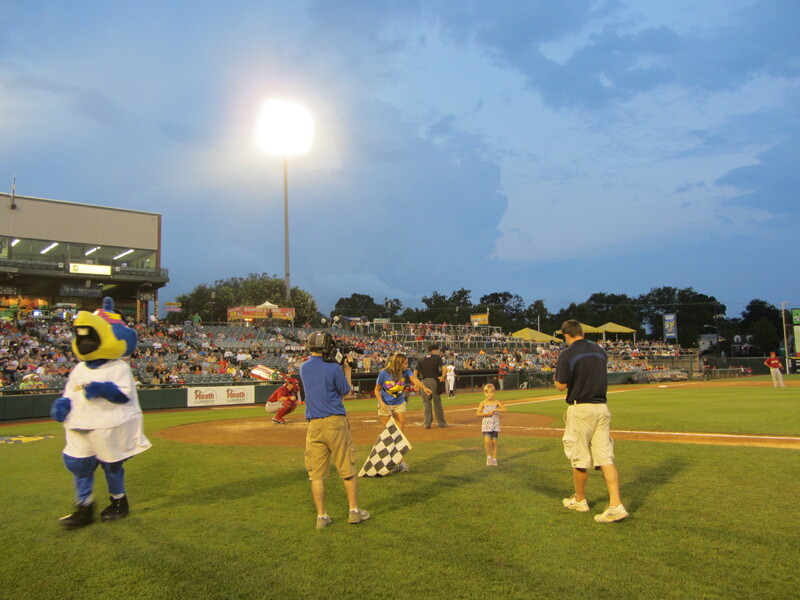 It was time for the annual mascot race, in which a young fan races against Boomer and Strike. 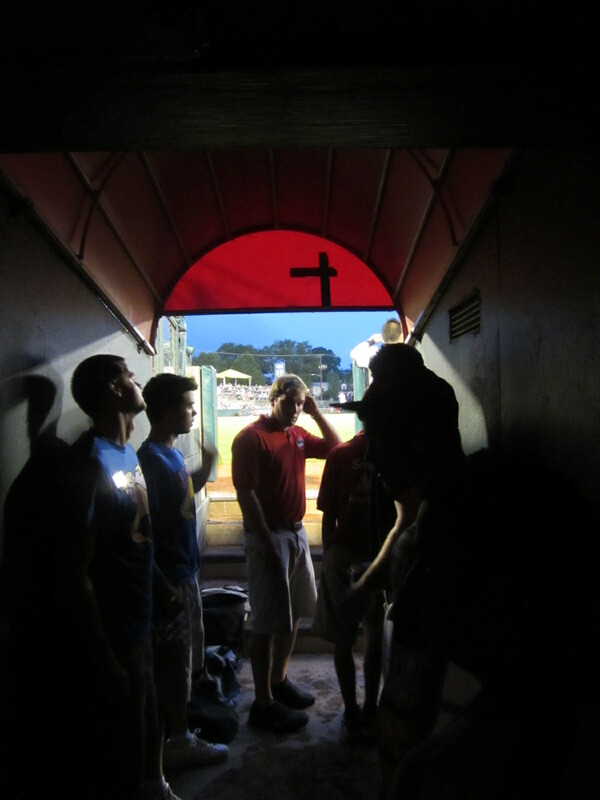 Shortly thereafter came the Dizzy Bat Race, with the contestants awaiting their moment of glory within the sepulchral glow of the dugout tunnel. And, oh, how glorious it was. 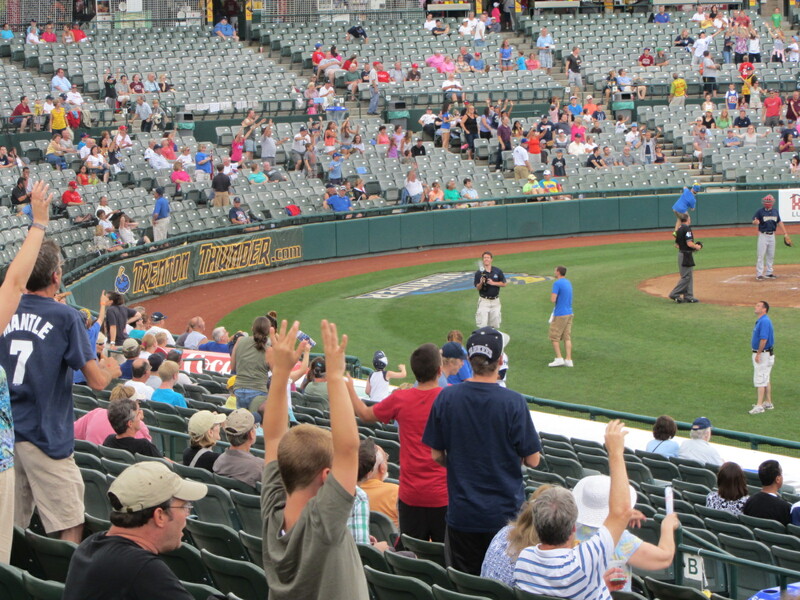 The players were really into it, as was the usher atop the dugout. 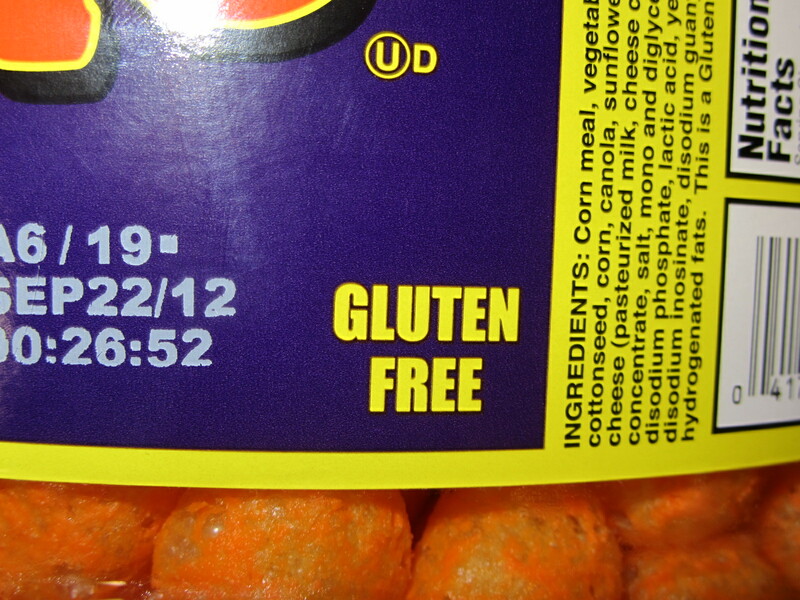 but not much that was gluten-free. 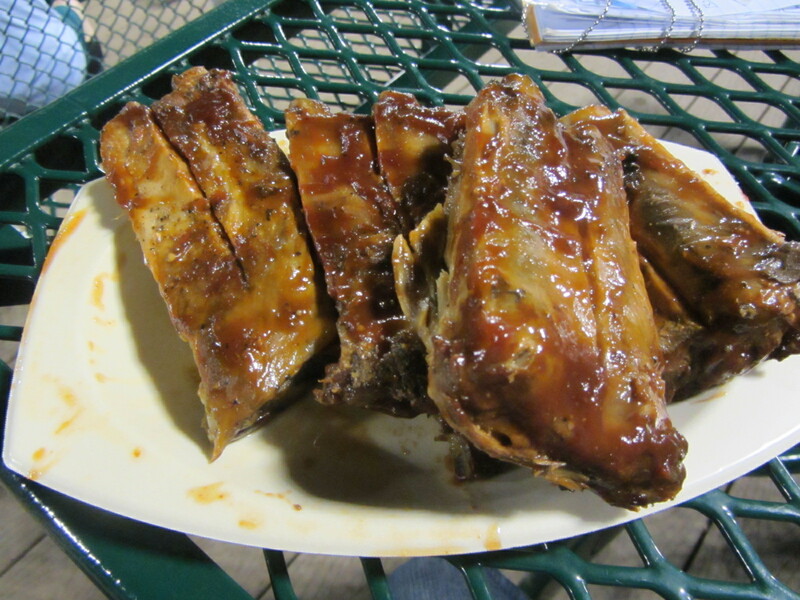 But, after a thorough investigation, I found that the St. Louis-style ribs at Boomer’s BBQ were good to go. They were going to close soon, so my portion of ribs was a heaping one. I can’t say that they were the best ribs I ever had, but they were the most recent. And then, after all that, the rains came. In the sixth inning of the second game of a doubleheader. 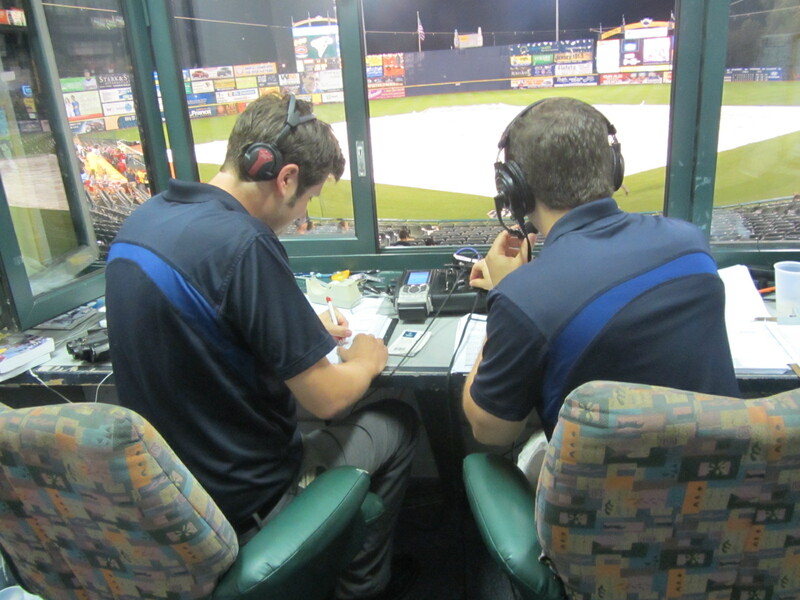 Again, not knowing what to do with myself, I wandered into the “Tom McCarthy Radio Booth” and checked in on broadcasters Jay Burnham and Josh Maurer. 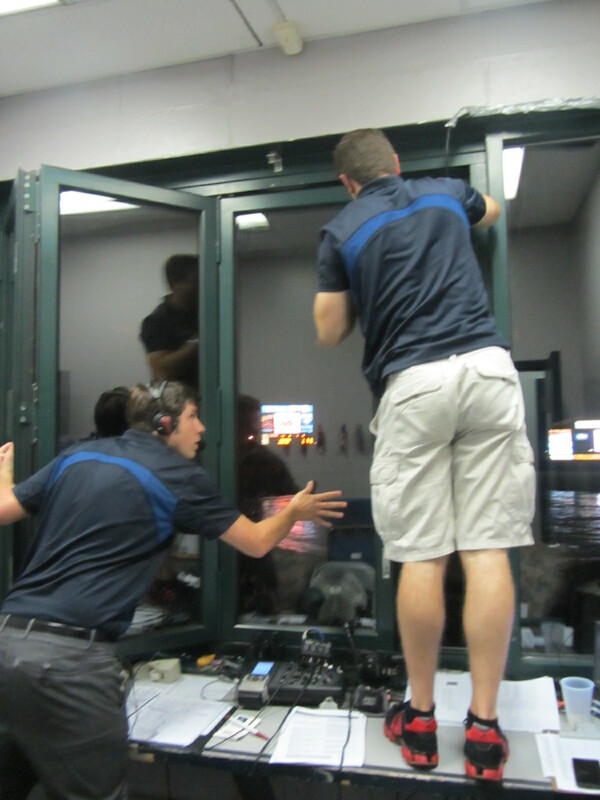 While I was in the booth, the game was called after a delay of just 25 minutes. 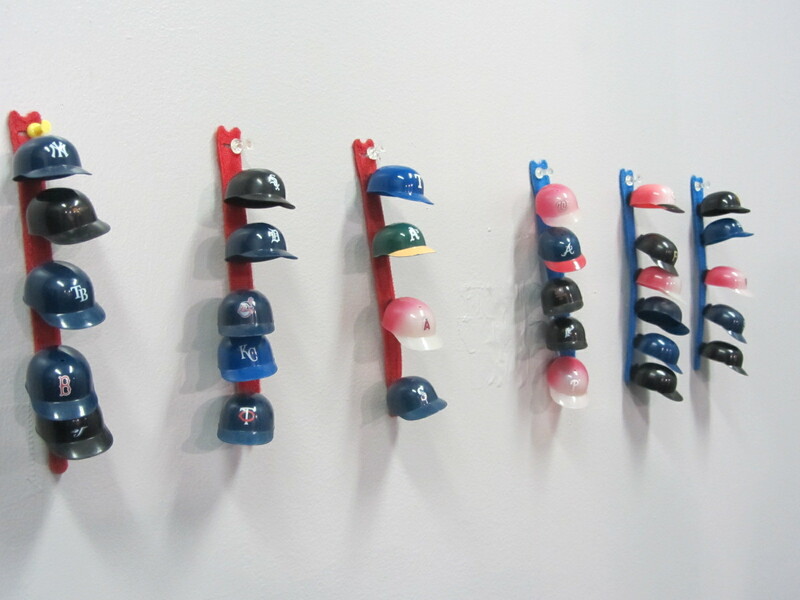 I barely had had the time to check the latest MLB standings. 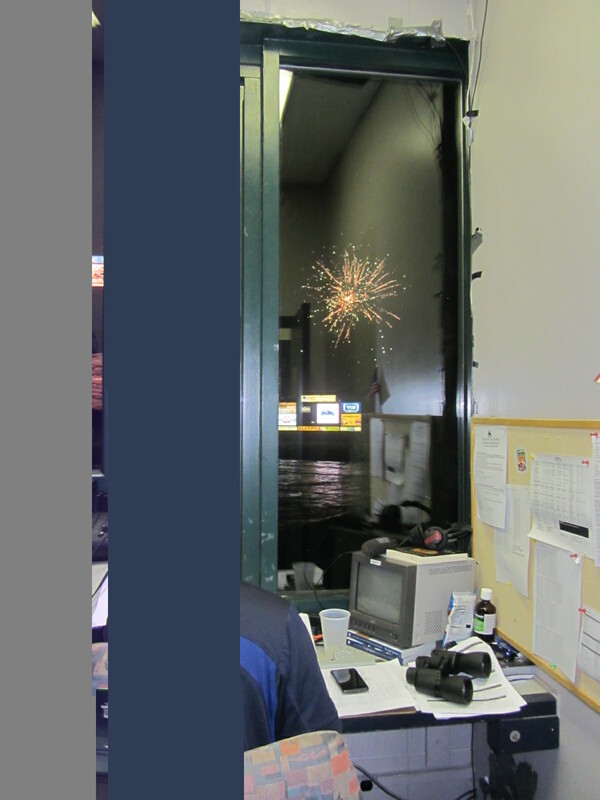 As Burnham and Mauer launched into their post-game show, fireworks began to light up the sky. Therefore, auditory adjustments needed to be made. I barely watched the fireworks, as I was under the gun to produce some quality poetry. Inspired by the book Baseball Haiku, Burnham has instituted a post-game tradition in which he and Maurer write a haiku about the night’s events. The spirits were with me, I suppose, as I dashed off four. Quite graciously, Burnham and Maurer read them all over the air. One of these days this will all make sense, I hope.